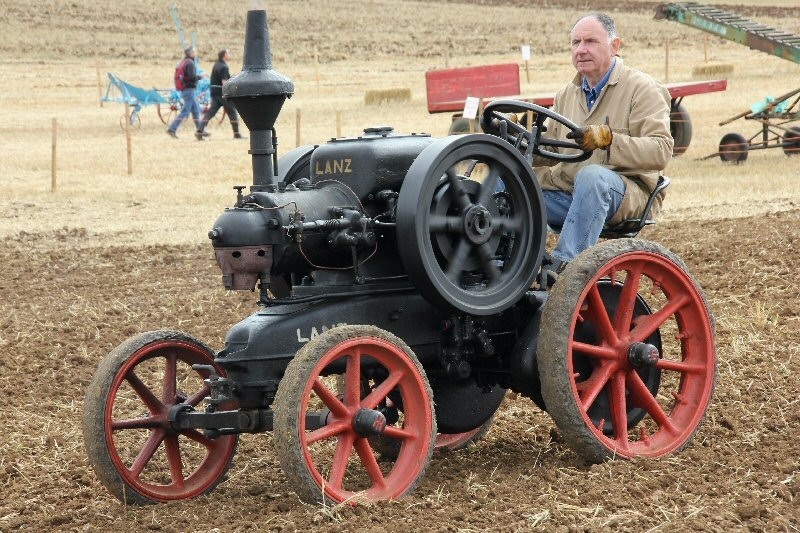 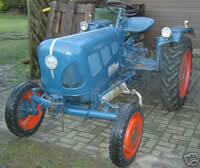 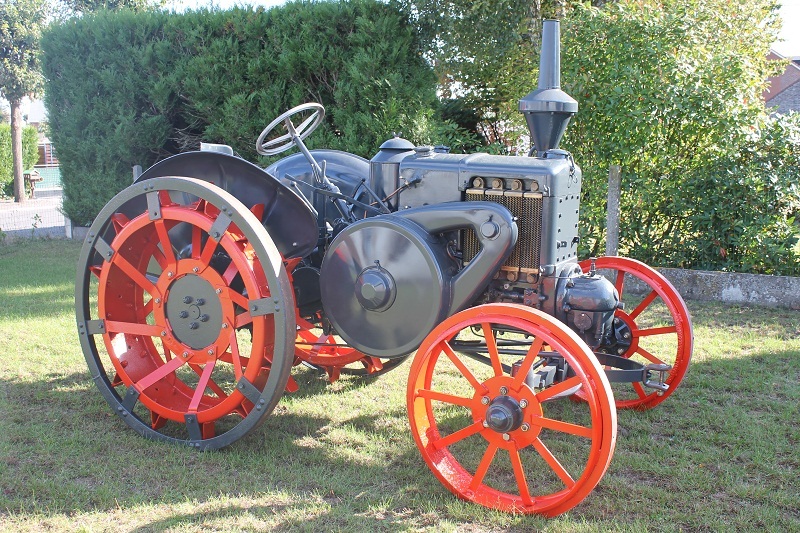 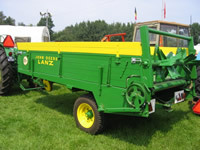 This gallery attempts to provide a photographic catalogue of the various models of Lanz tractors produced. 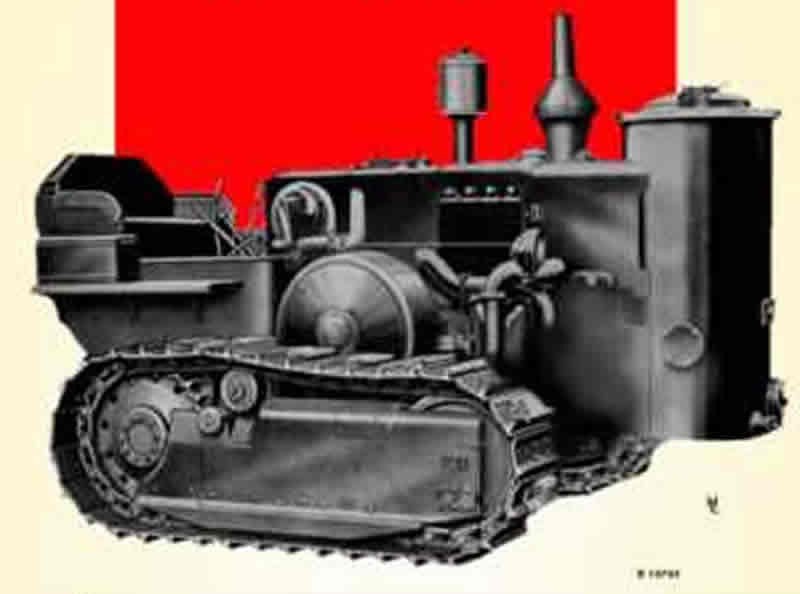 Additions, in digital format, would be welcome, as would comments or corrections. 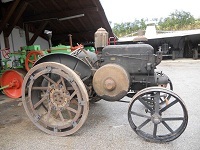 Photographs will be changed from time to time to create variety. 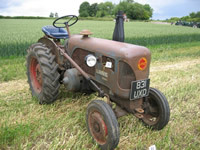 Photographs will also be removed for privacy or other purposes if so requested. 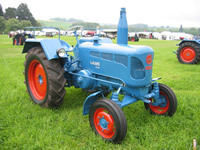 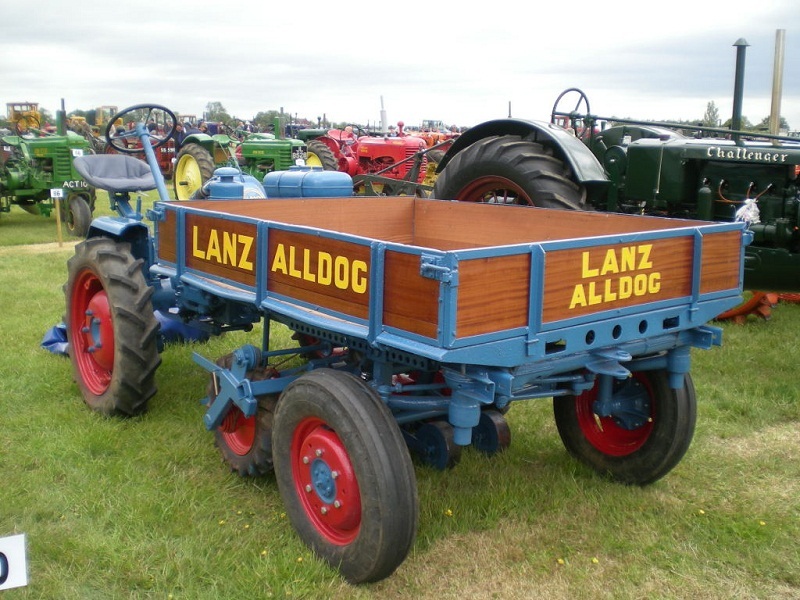 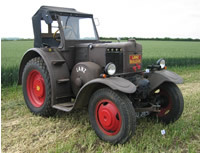 This is the Lanz model which was first named 'Bulldog'. 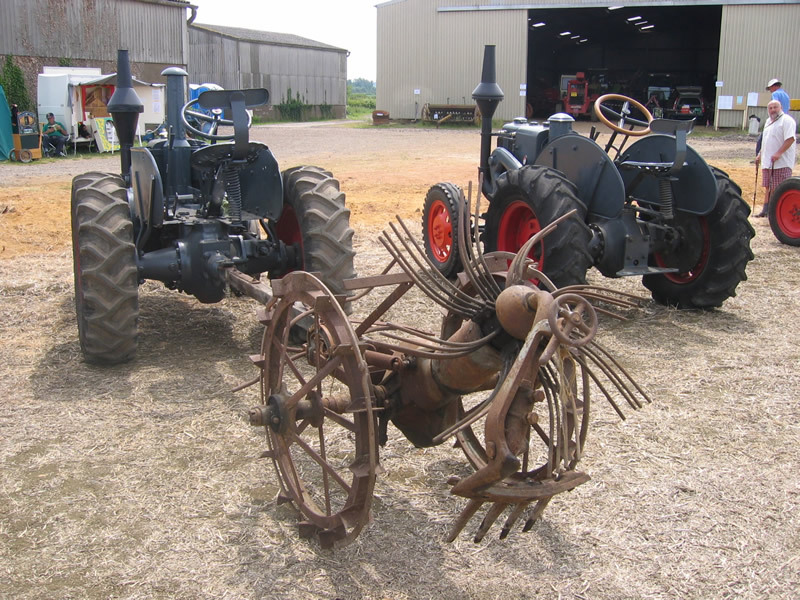 Displayed at the Little Casterton Working Weekend, Sep 12. 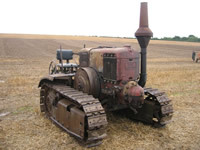 Owner lives in East Yorkshire. 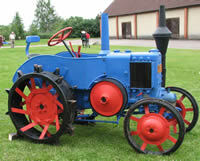 This is a replica made in Poland in 2005 from all new parts. 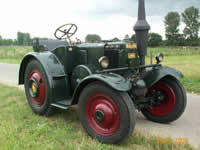 It represents the 8 HP Model HM which was built at Mannheim from 1923 to 1925. It is the smaller version of the HL and is also referred to as the 'Mops', which is the German word for a small Bulldog. 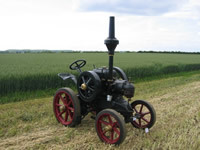 Displayed at the Single Cylinder Gathering, Knightcote on 21 Jun 09. 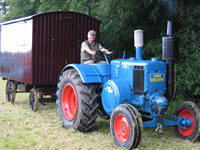 Owner lives in Warwickshire. 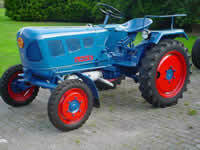 Only 723 were made during 1923-26. 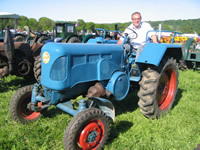 Displayed at the Belvoir Castle Steam Festival, 17-18 May 08. Fitted with half-track conversion made by Ritscher of Hamburg. 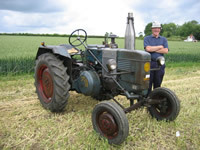 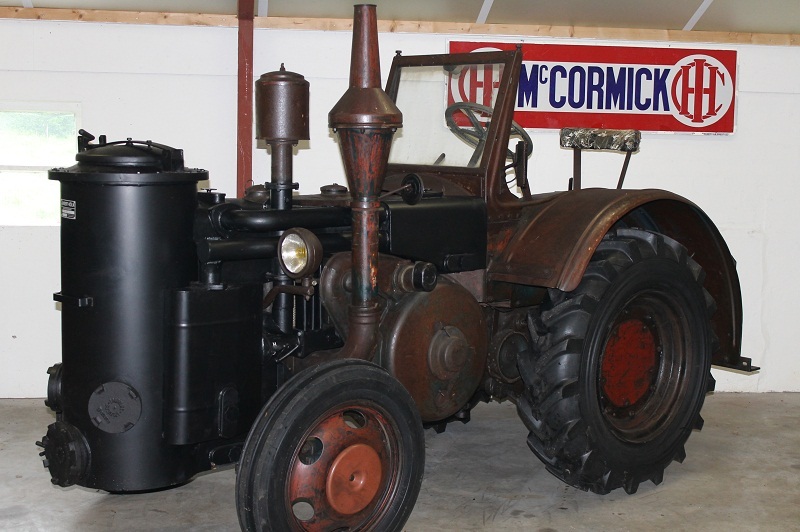 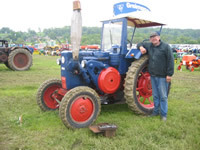 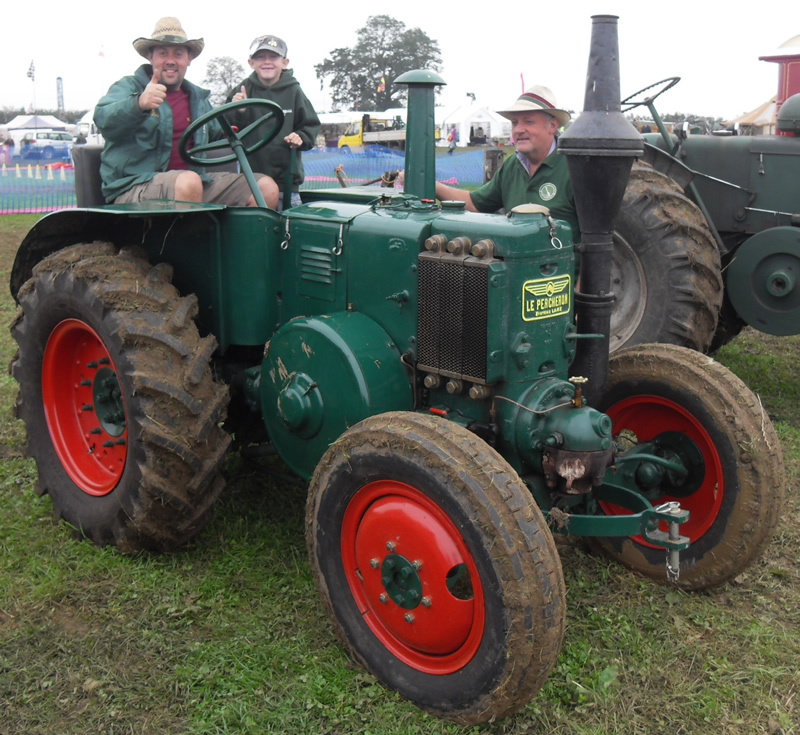 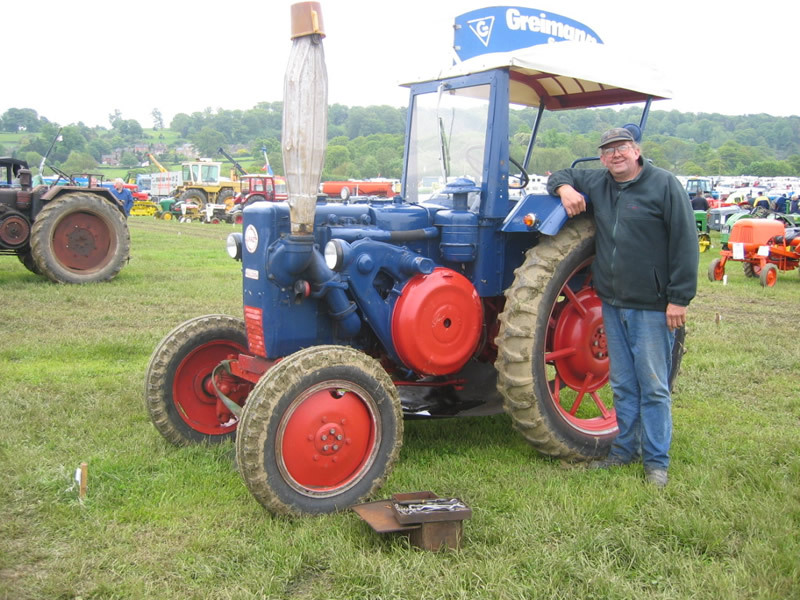 The Grossbulldog was hopper-cooled, but this one has been fitted with a radiator at some stage in its working life, possibly taken from an HSCS tractor. Displayed at Single Cylinder 2005, Knightcote in Jun 05. This model was built from 1926-31. 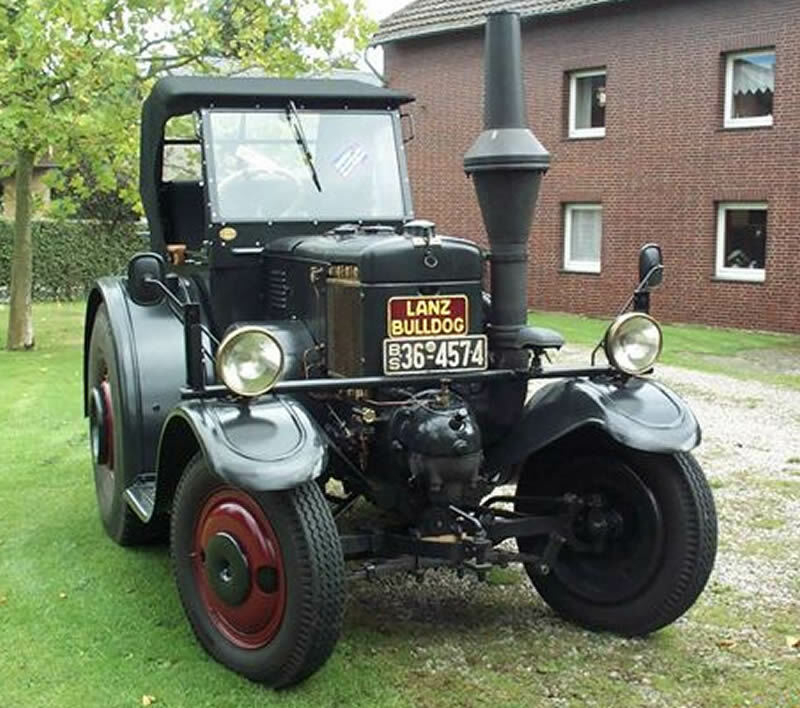 This model was built during 1928-29 and was the first Bulldog fitted with an enclosed cooling system. Displayed at the Carrington Rally, Lincolnshire in May 05. 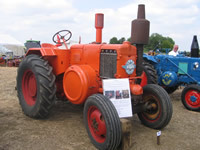 Displayed at the Belvoir Castle Steam Festival in May 04. Original import into Ireland in 1939. 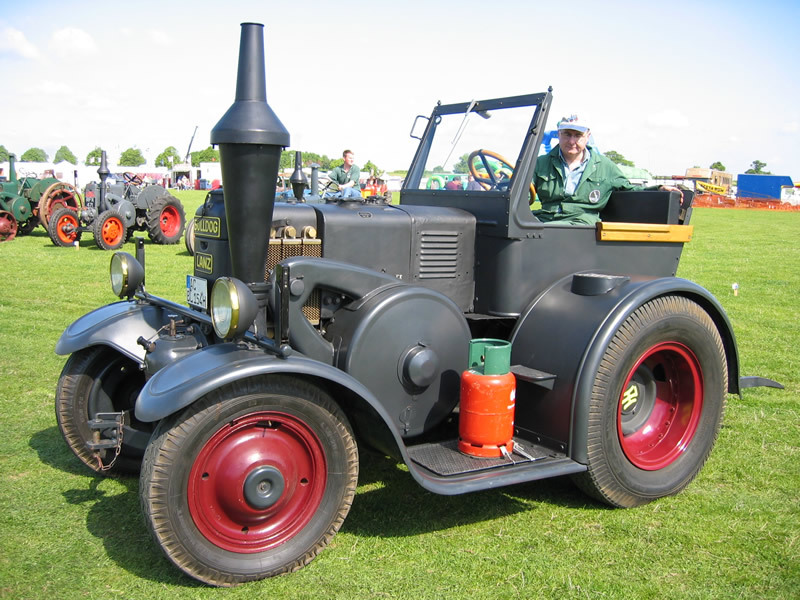 Fitted with a wood-burning gas generator. 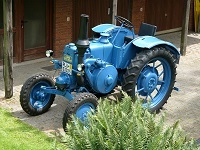 Owner lives in The Netherlands. 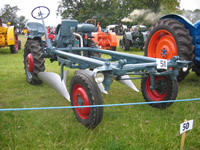 Displayed at Onslow Park, Shrewsbury in Jul 05. 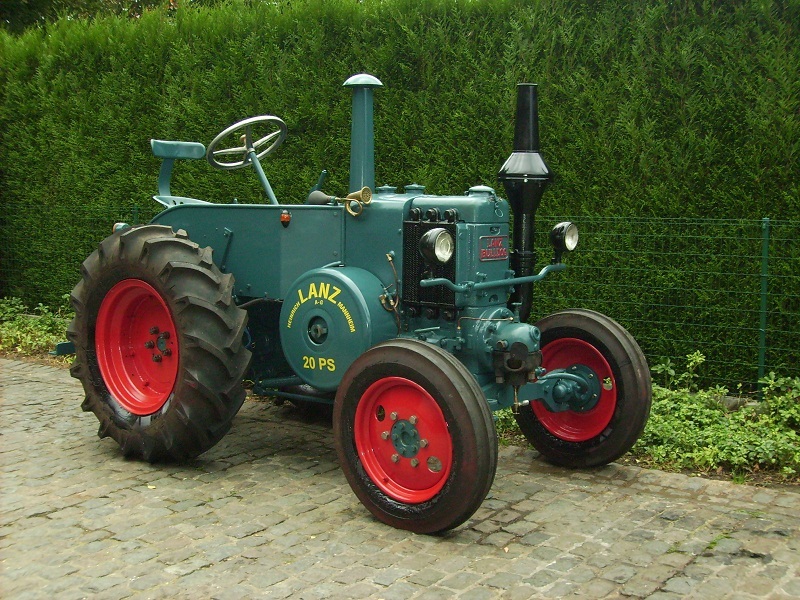 This is a licensed copy of the Lanz D7506 which was made at Colombes in France. 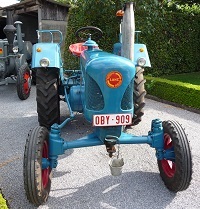 Imported from France in about 1998. Displayed at the Belvoir Castle Steam Festival in May 06. 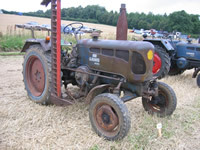 Displayed at the Great Dorset Steam Fair in Sep 04. A six-speed gearbox conversion has been fitted at some time in its life. 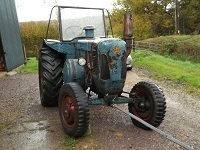 Lights have been fitted recently. 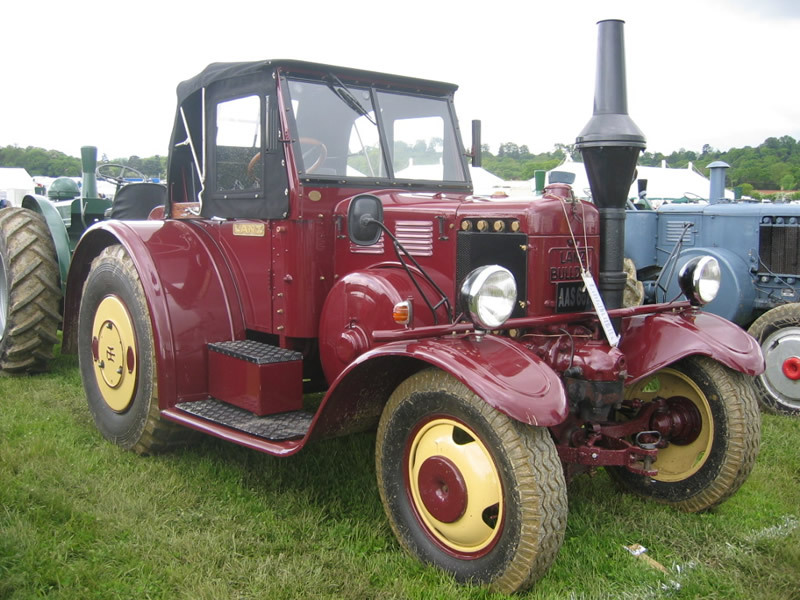 Believed to have originally worked in Wiltshire. 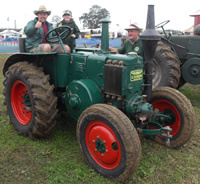 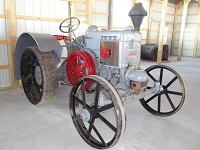 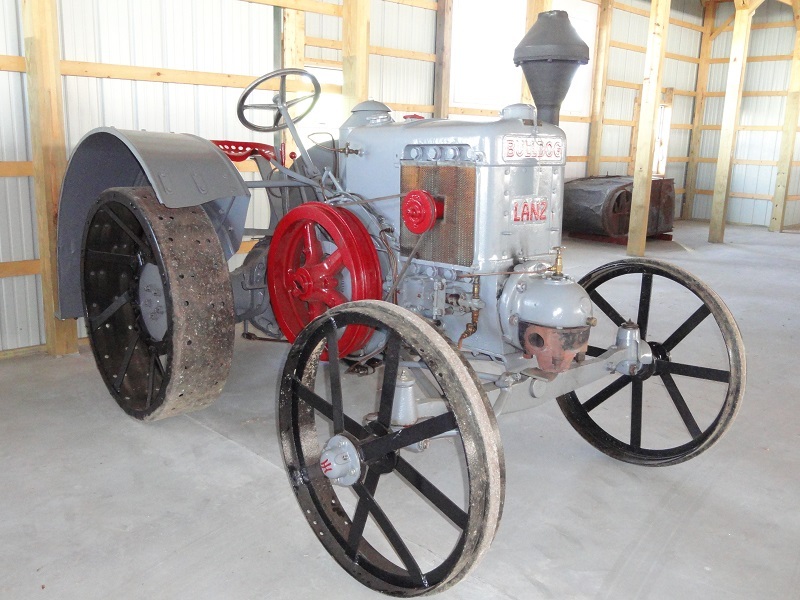 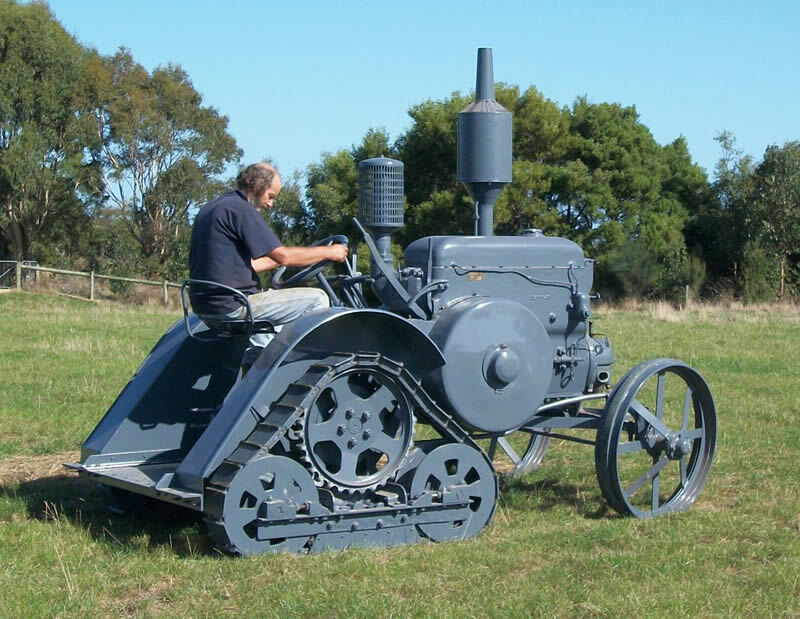 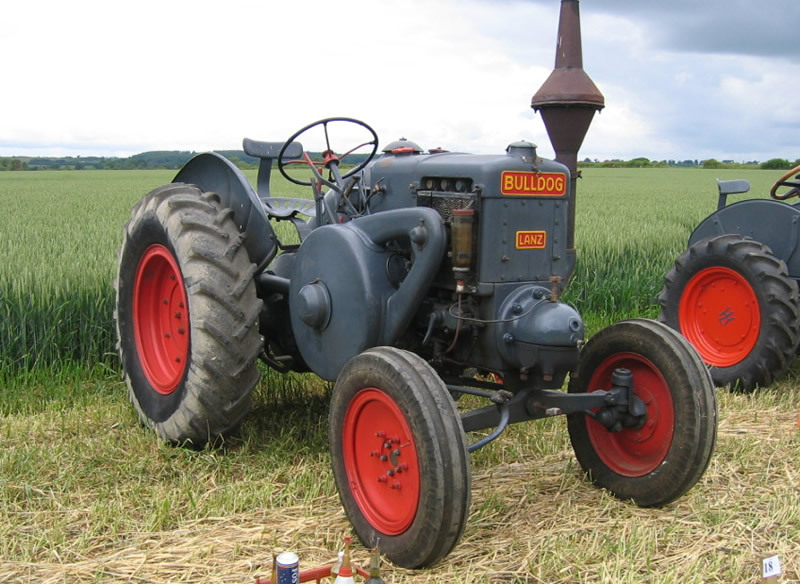 One of the first 55 HP agricultural Bulldogs. 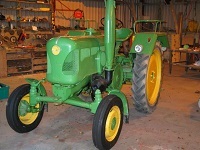 Fitted with an aluminium piston and all serial numbers match. Imported a few years ago from Germany. 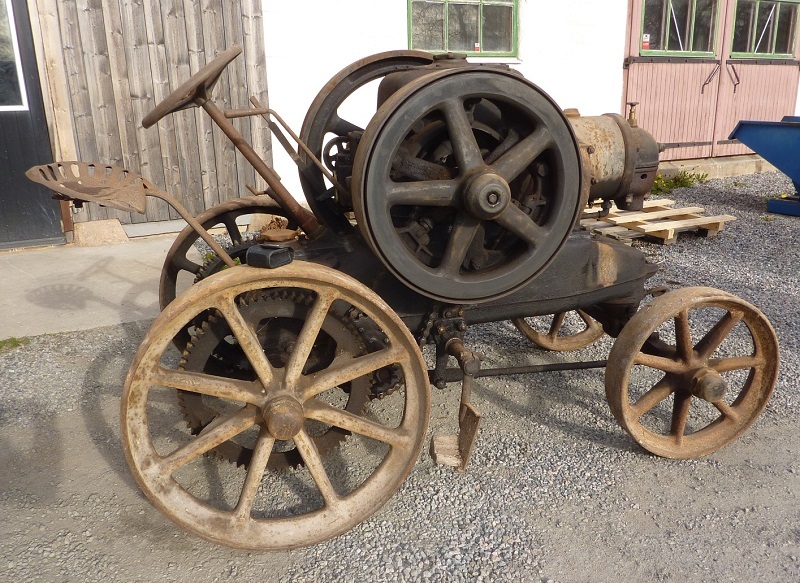 Believed to be ex German Army and later used by a fairground. 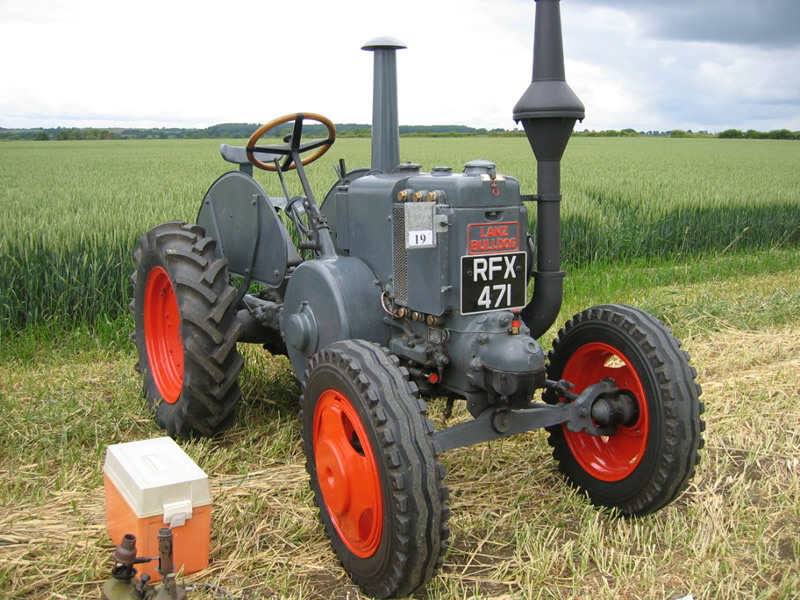 Displayed at the Belvoir Castle Steam Festival, 20-21 May 06. Fitted with a rear-mounted capstan winch. 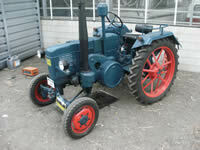 Bought new at the Royal Show, England in 1939 by the current owner's father-in-law. 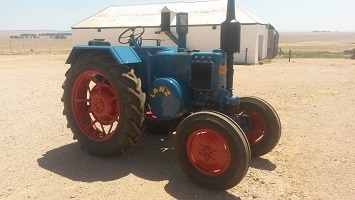 Believed to have originally been imported by P.Androg & Sons, Belleville, Cape Town. Imported from Belgium in the 1980s. 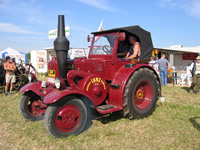 D1461, 42 HP, wood-gas fuelled engine (Reingas Bulldog). 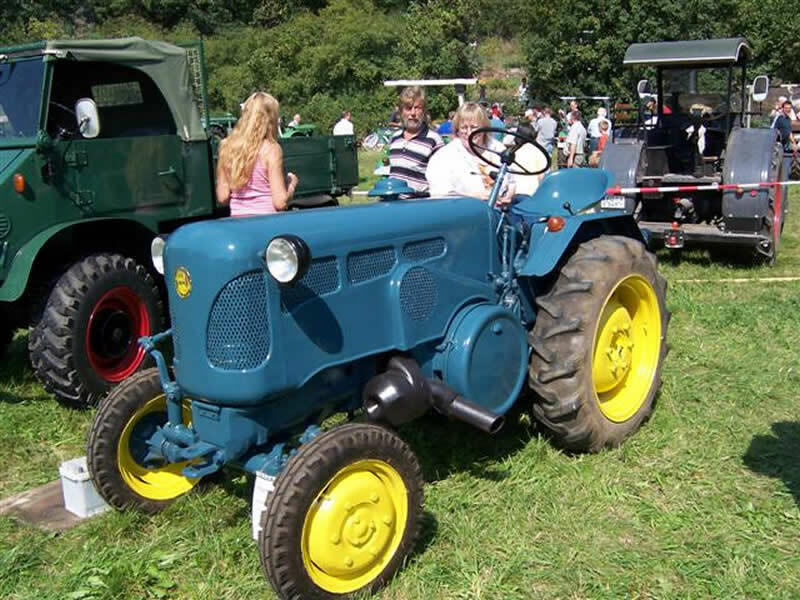 This photograph is taken from a sales brochure, but it is not known if any of these tractors were actually built. 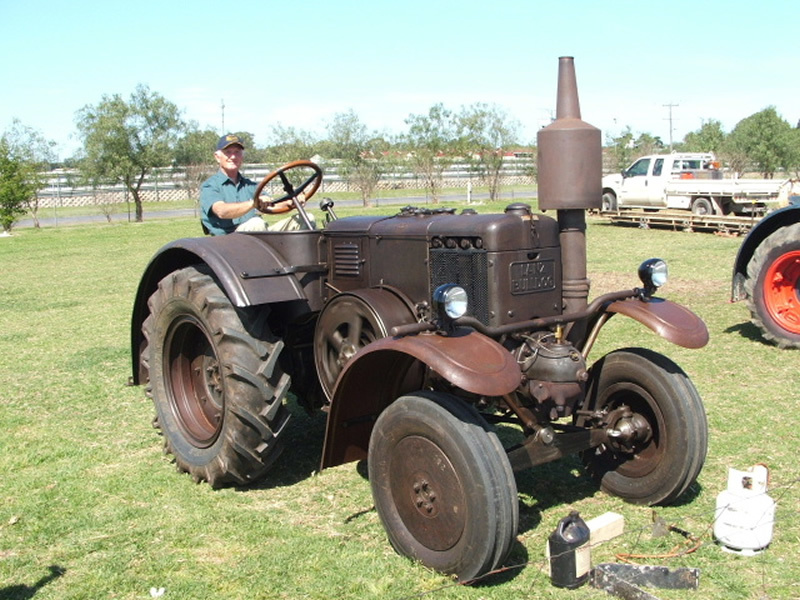 This is a cross between a D8500 and a D8506 built for the Australian market. 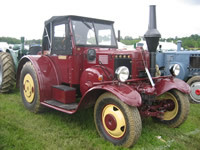 At some stage in its life it has been fittted with a half-track conversion made by Roadless Traction Ltd. of Hounslow, England. 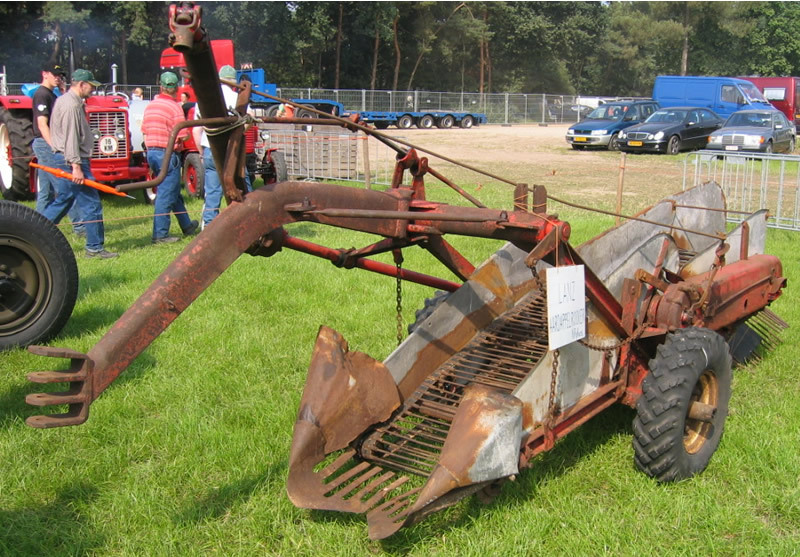 Displayed at the HMTV Festival, Panningen, Netherlands, 26 Jul 08. 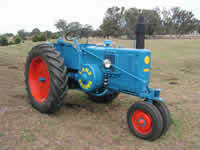 This model is a cross between a D9500 and a D9506 built for the Australian market. 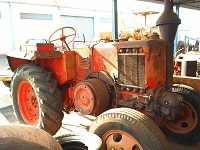 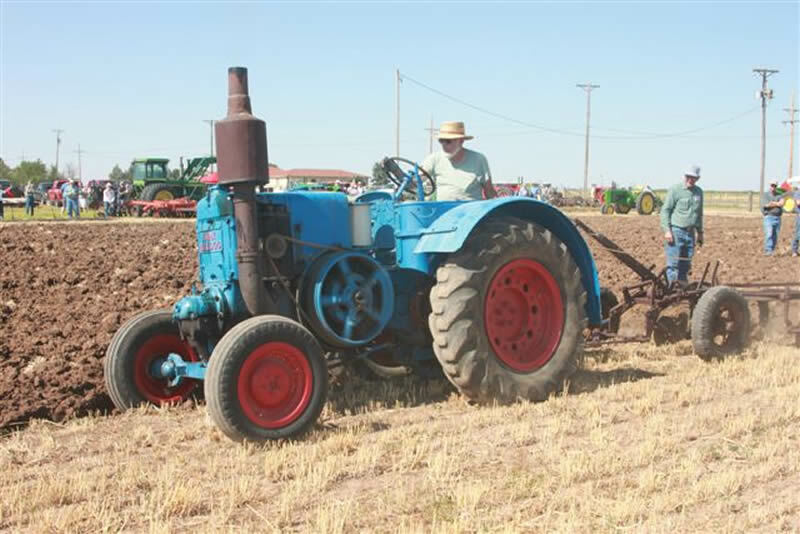 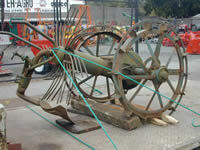 This tractor was originally exported to Australia, and then moved to the USA several years ago. 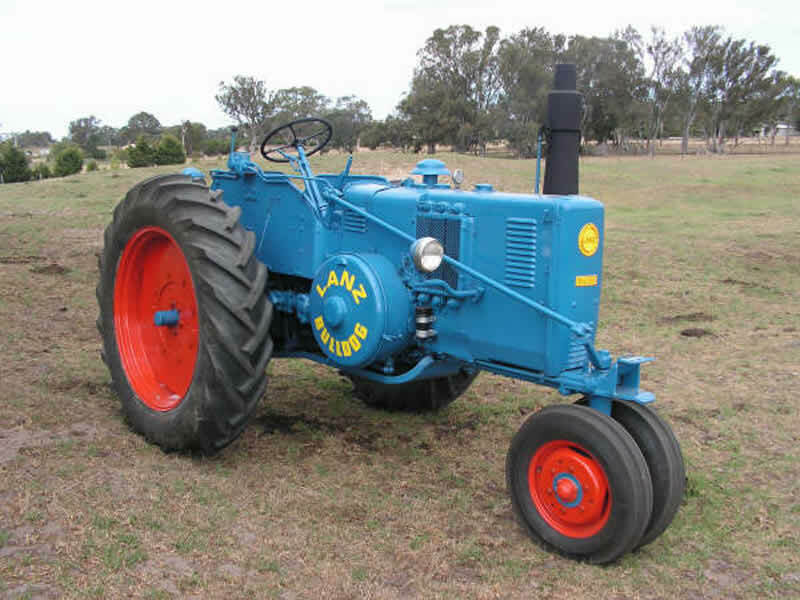 Imported from Australia in the early eighties. 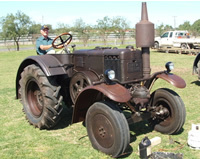 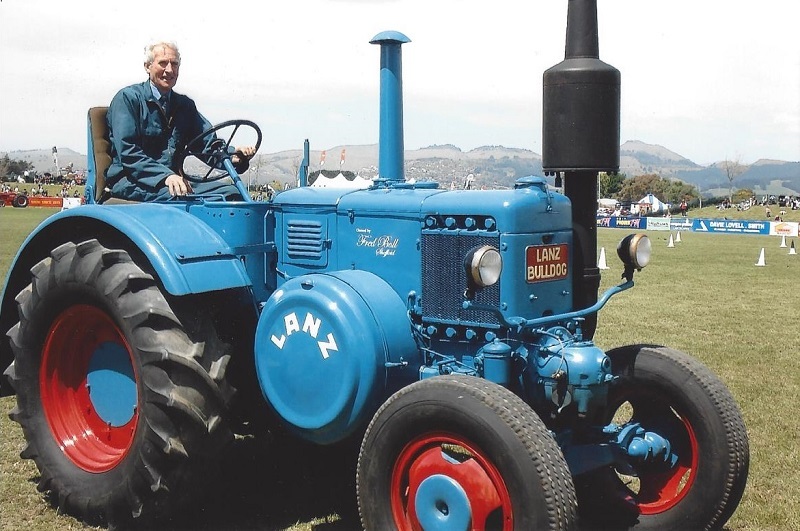 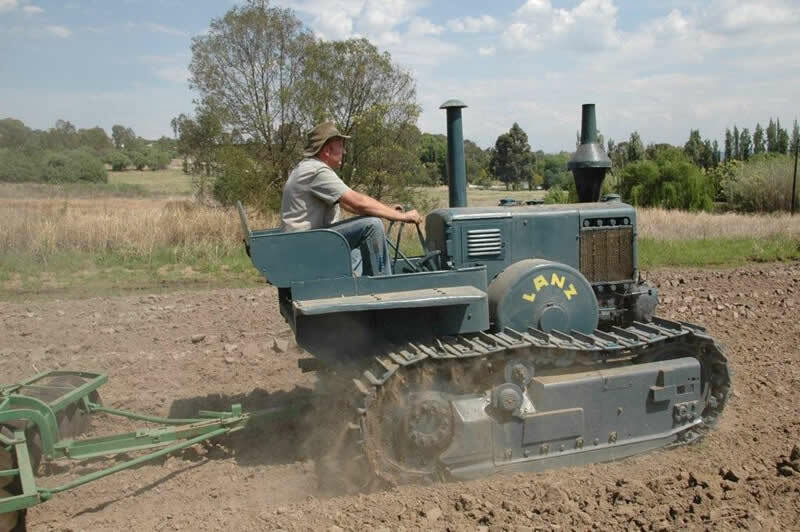 This is a copy of the Lanz D8506 made by Kelly and Lewis at Springvale , Victoria, Australia from 1949 to 1952. 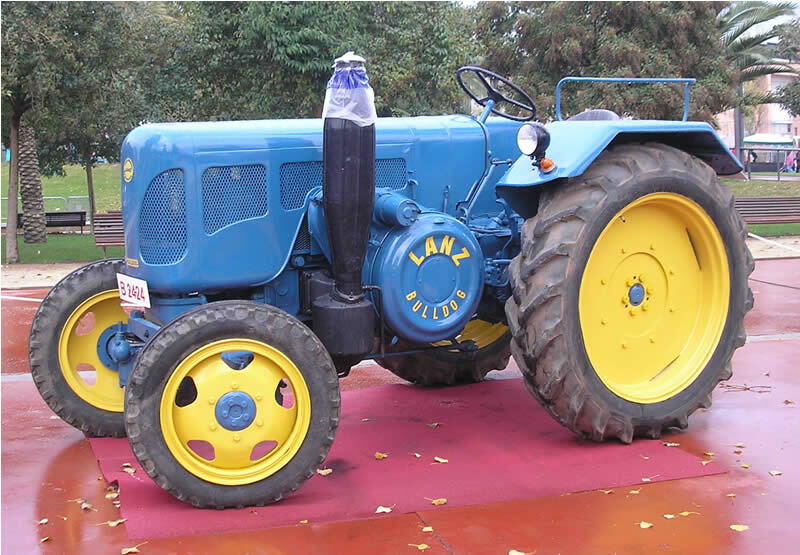 This is a copy of the Lanz D1506 built by Industrias Aeronáuticas y Mecánicas del Estado (IAME) at Córdoba in Argentina. 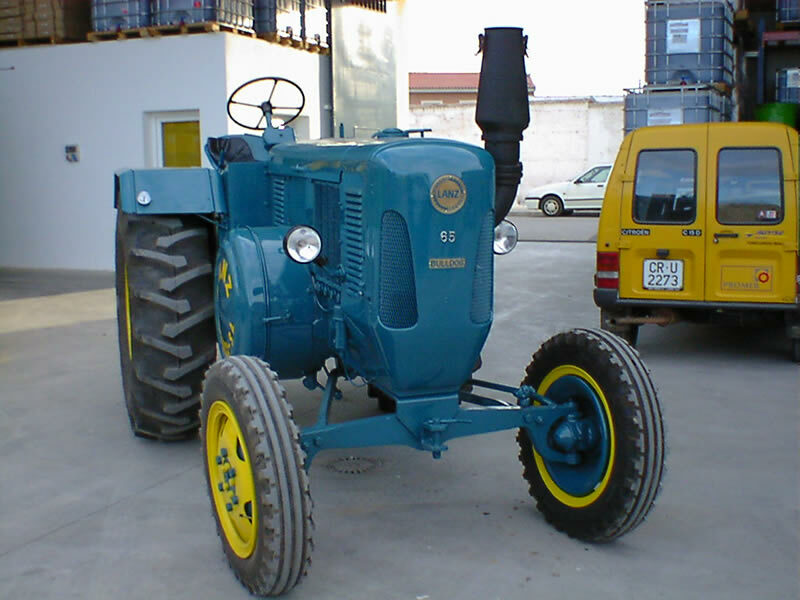 This is a copy of the Lanz D1506 built by Dirección Nacional de Fabricaciones e Investigaciones Aeronáuticas (DINFIA) at Córdoba in Argentina. 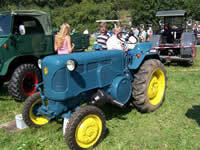 Displayed at the Newark Tractor Show, 11 Nov 06. 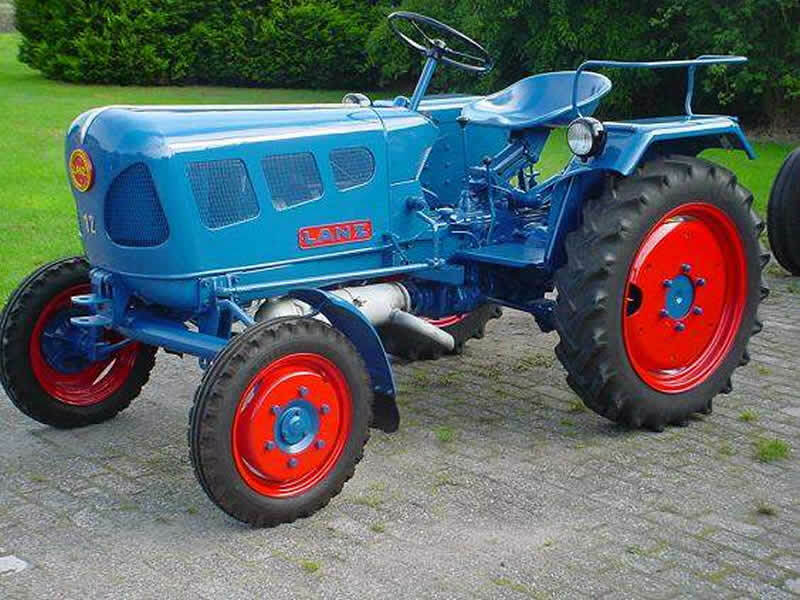 Imported from Cuba via Belgium. Owner lives in Yorkshire. 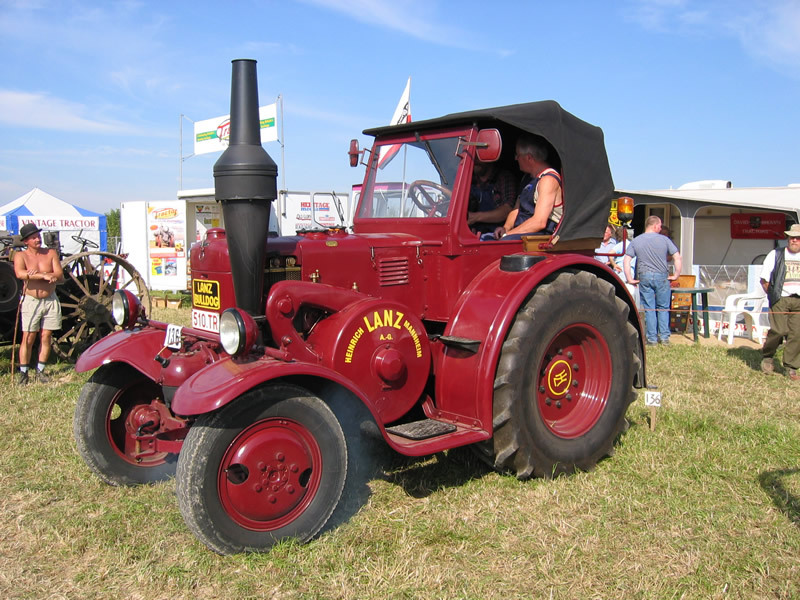 This is a copy of the Lanz D9506 built by Zaklady Mechaniczne Ursus ay Czechowice near Warsaw in Poland. Owner lives in Ireland. 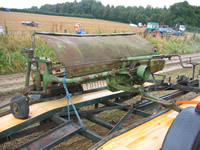 (Aug 12). 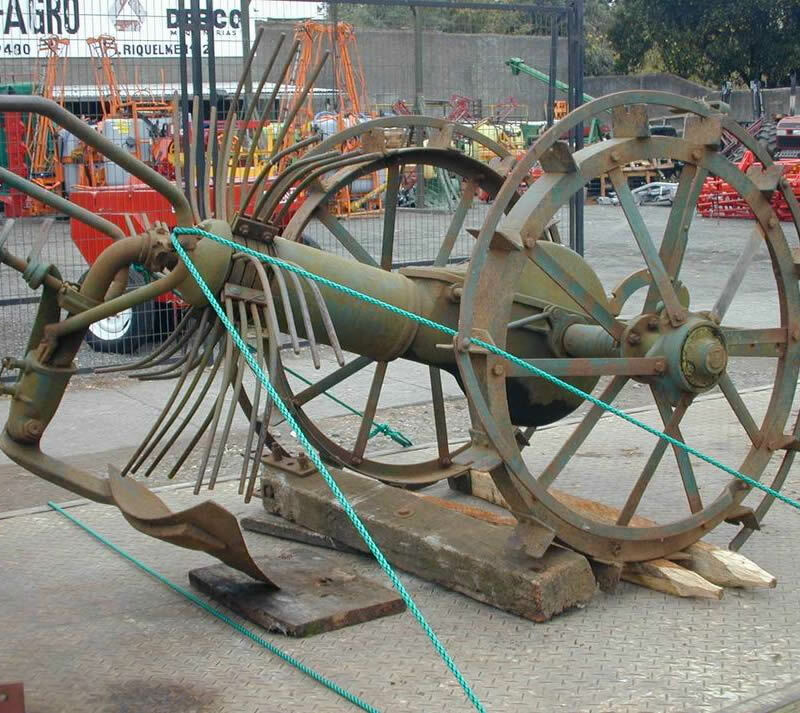 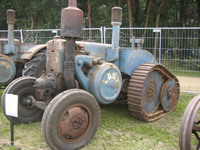 Believed to have spent its working life in Belgium. 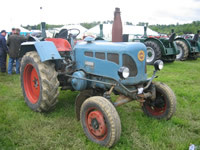 This is a D2206 with the later bonnet. 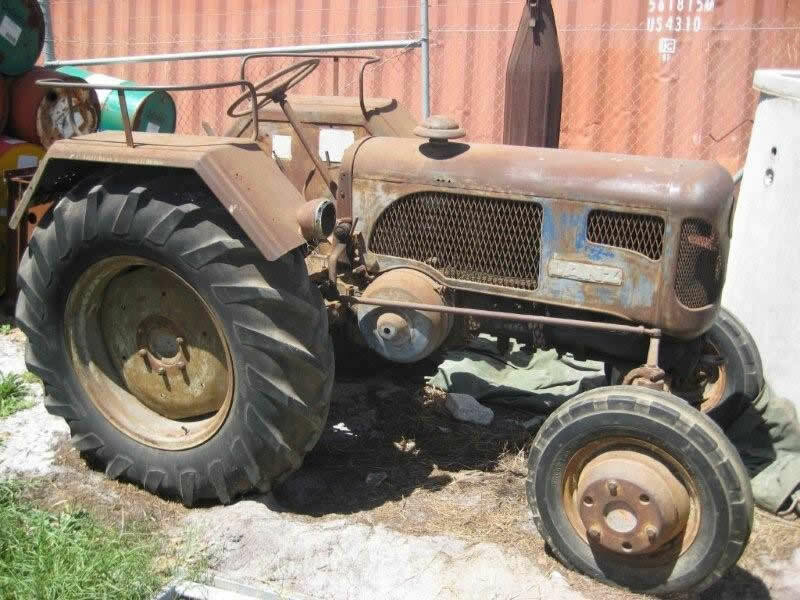 Recent import from New Zealand. This is the vineyard version of the D2806. 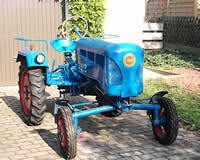 This is the tricycle version of the D2806. 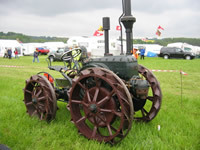 Displayed at the Belvoir Castle Steam Rally, 17-18 May 08. 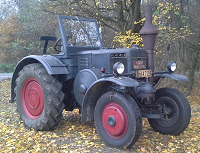 Engine supplied by Triumph-Werke-Nurnberg (TWN). 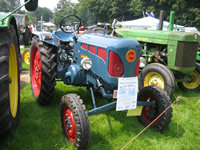 This model was built from 1955 to 1958. 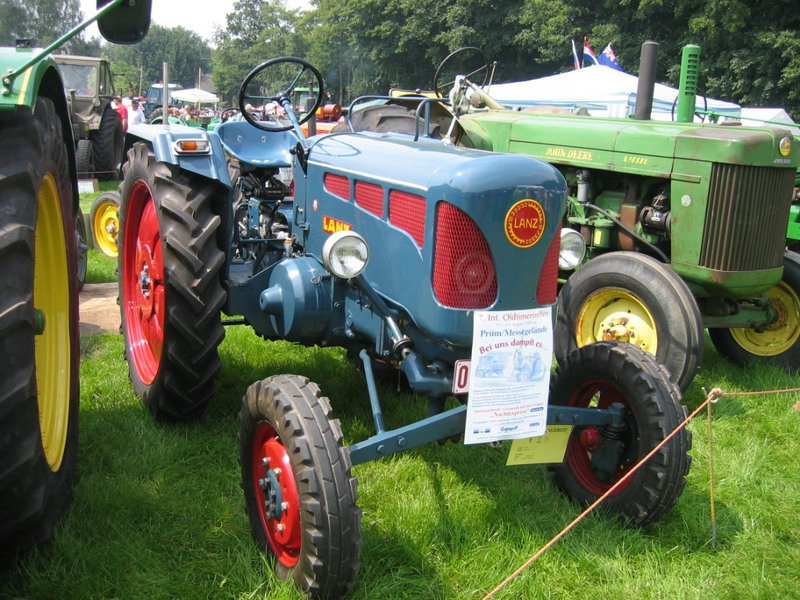 This model was built from 1956 to 1958. 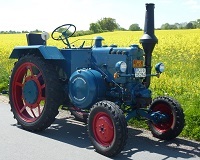 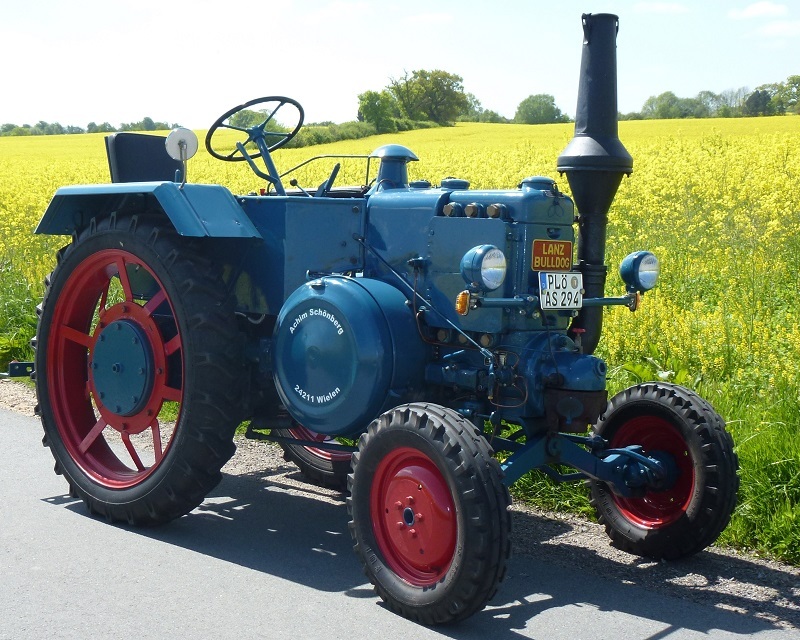 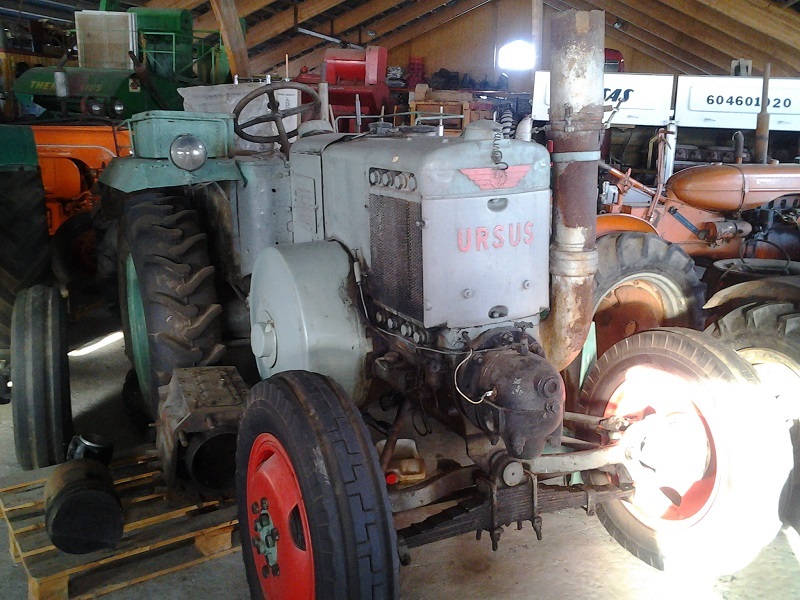 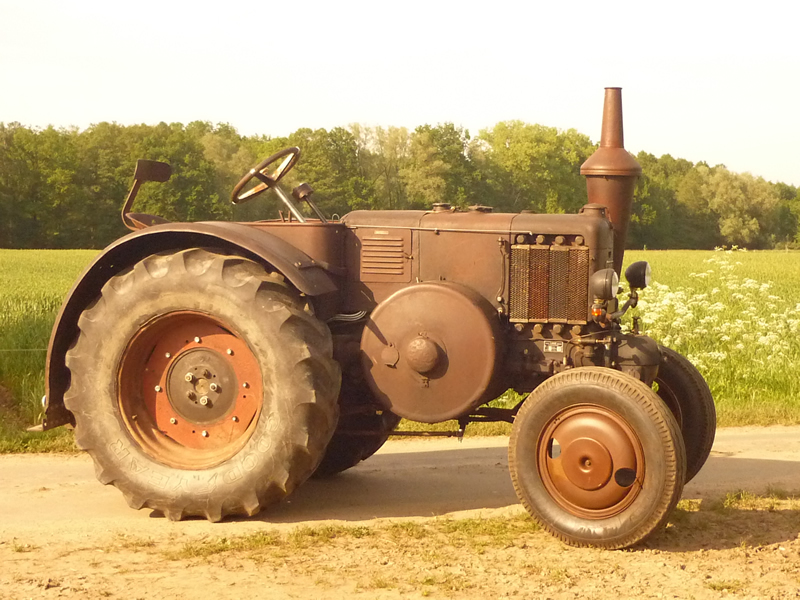 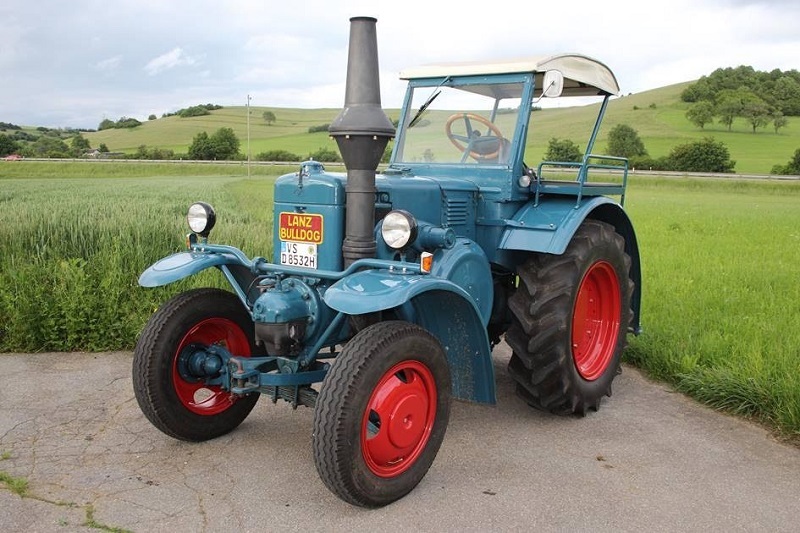 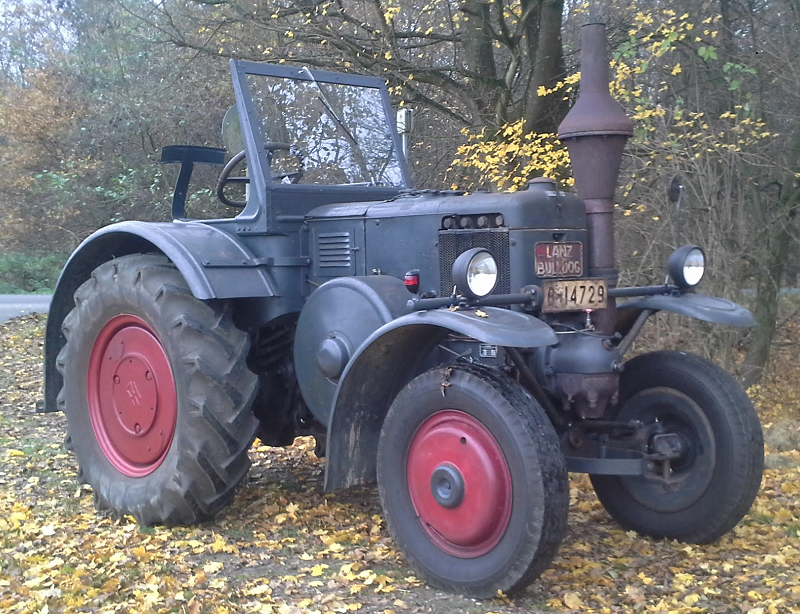 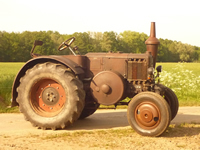 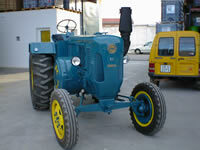 D1206, 12 HP, full-diesel, 1958-60. 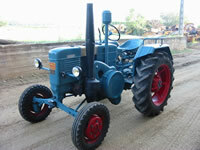 This model was built from 1958 to 1960. 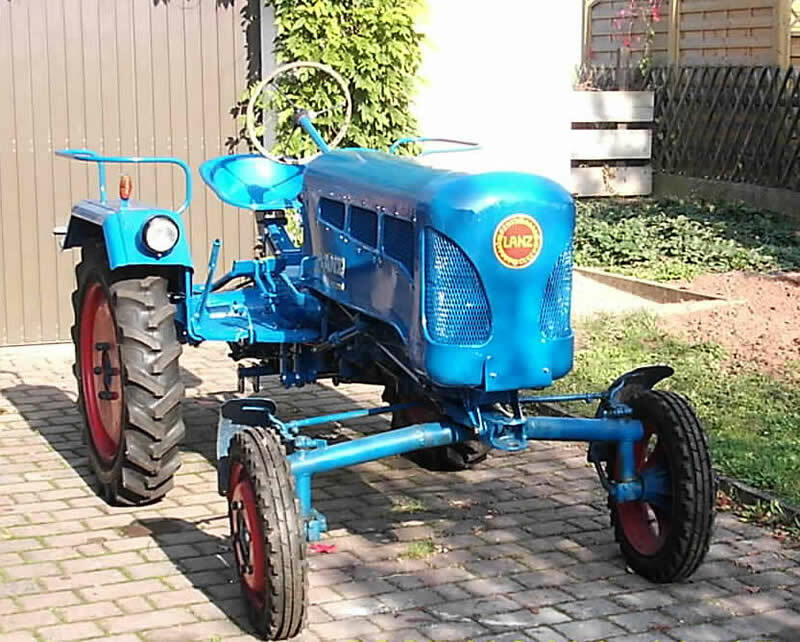 Imported from Germany in 2006. 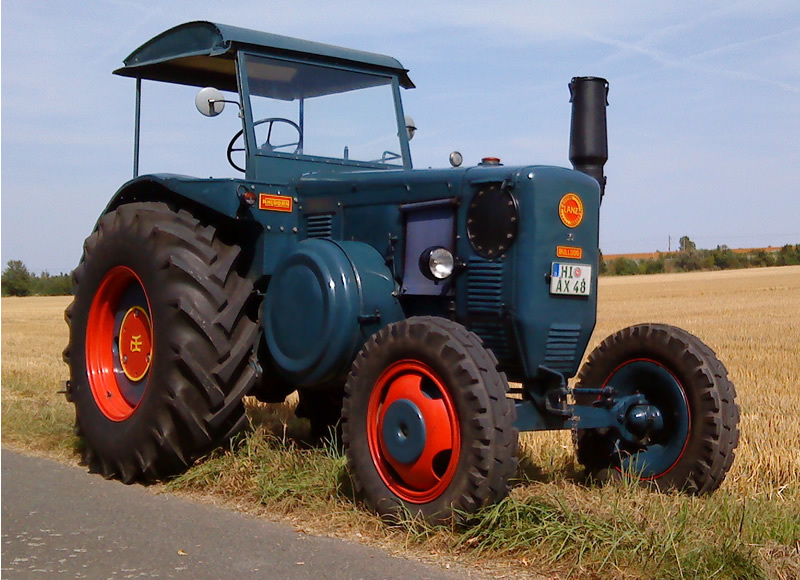 Imported from Belgium in 1994. 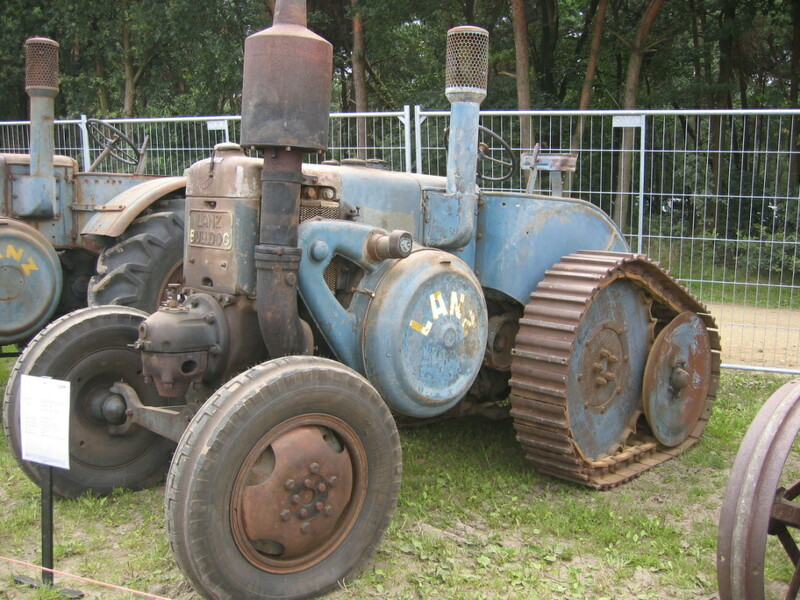 This is the vineyard version of the D2416. Imported from France in about 1999. 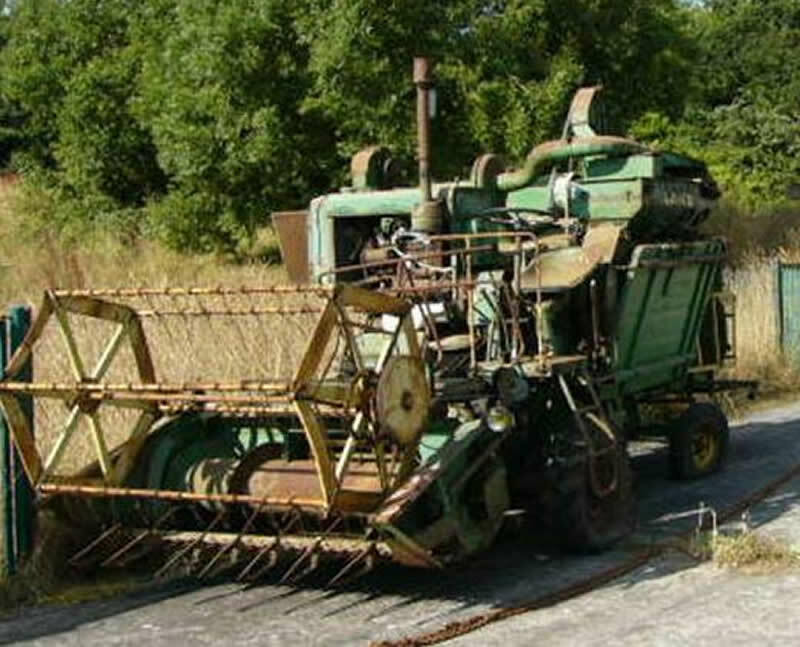 Owner lives in the UK. 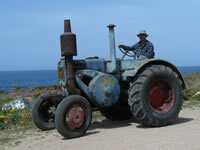 D3012, 30 HP, full diesel, Vineyard version. 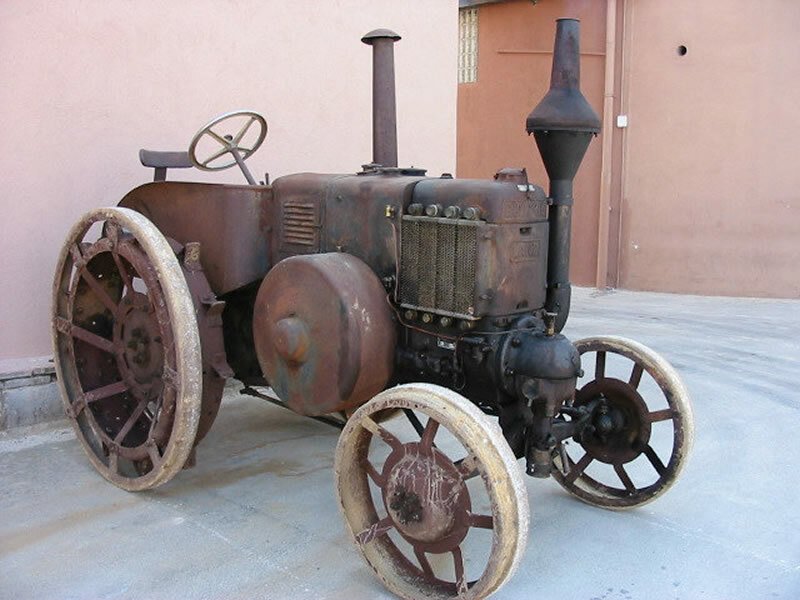 Made by Lanz Iberica at Getafe in Spain. 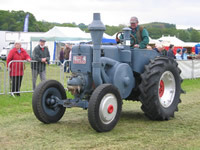 D3850, 38 HP, full diesel. Displayed at the Carrington Rally in May 2012. 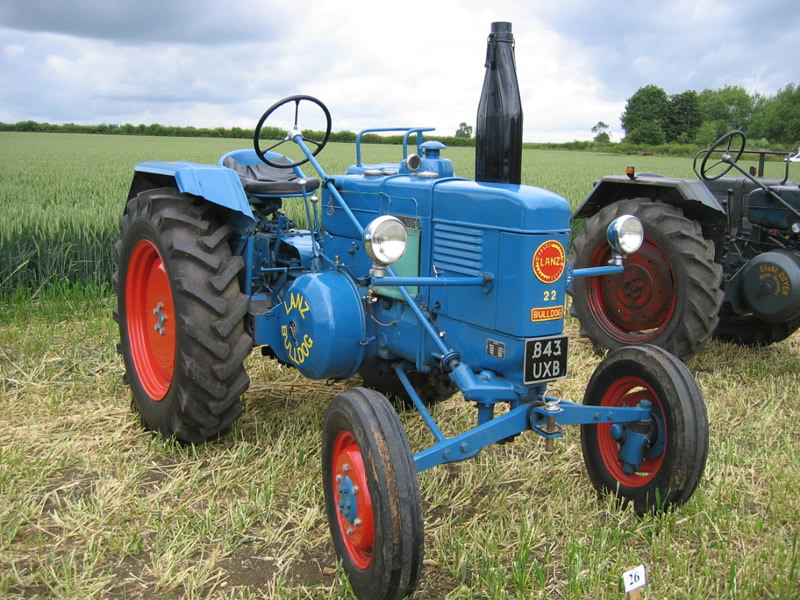 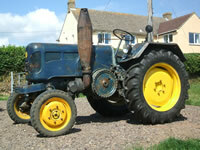 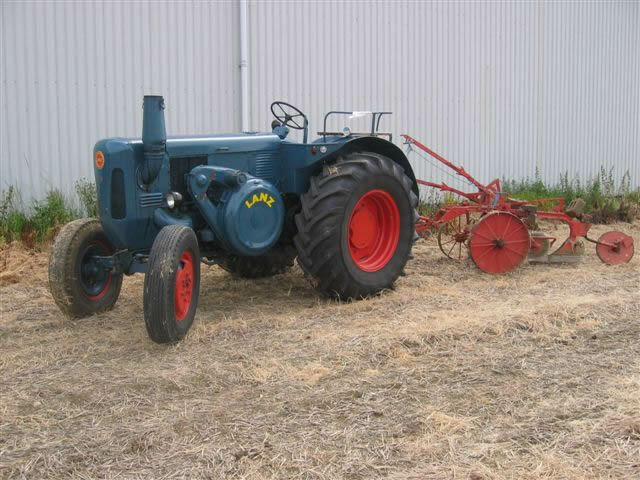 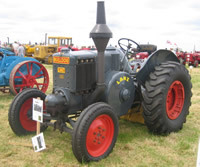 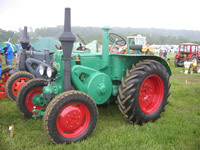 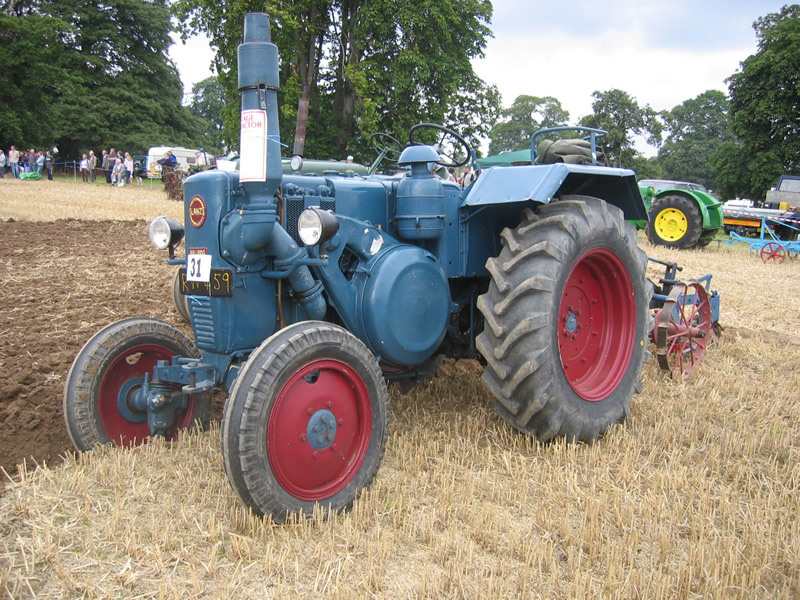 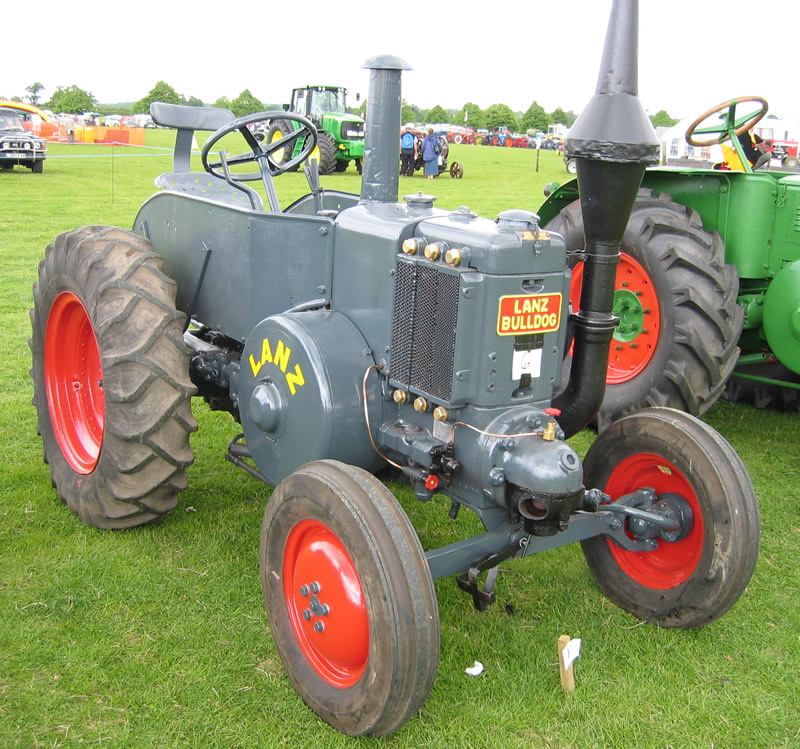 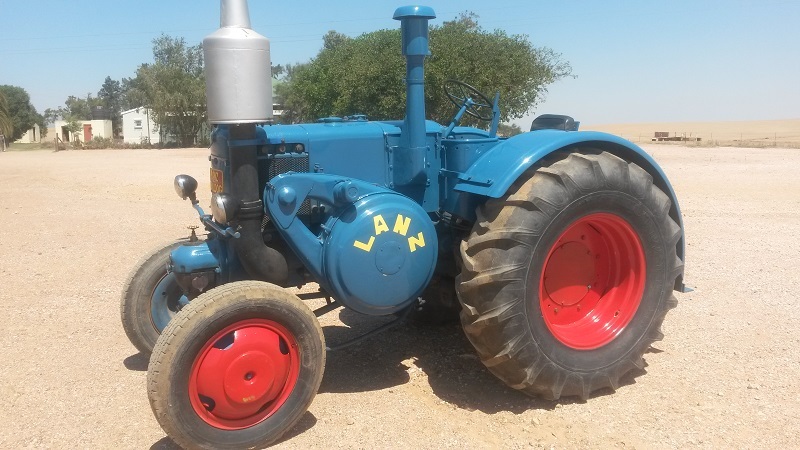 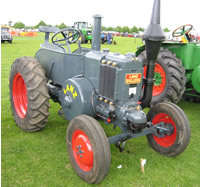 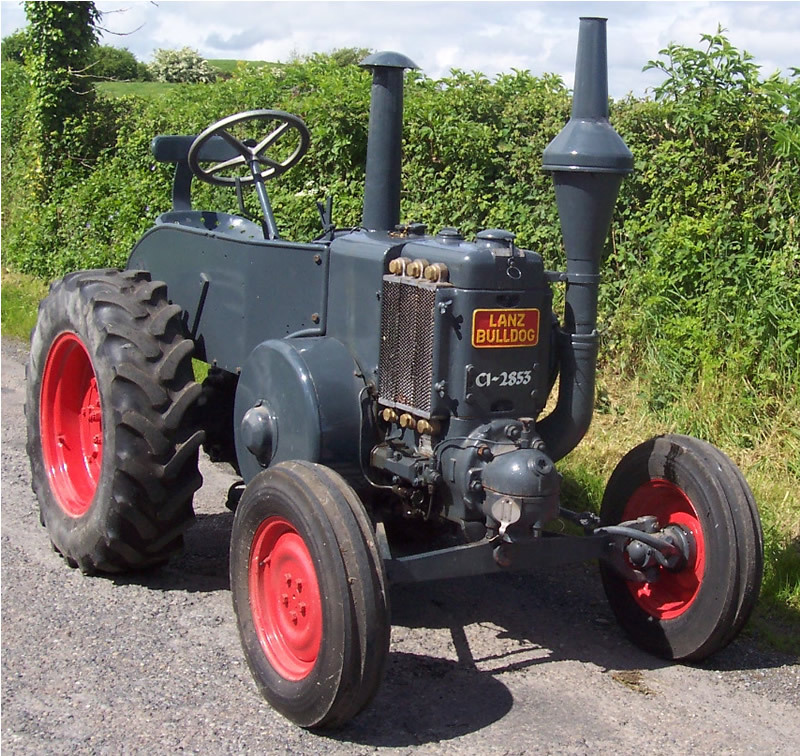 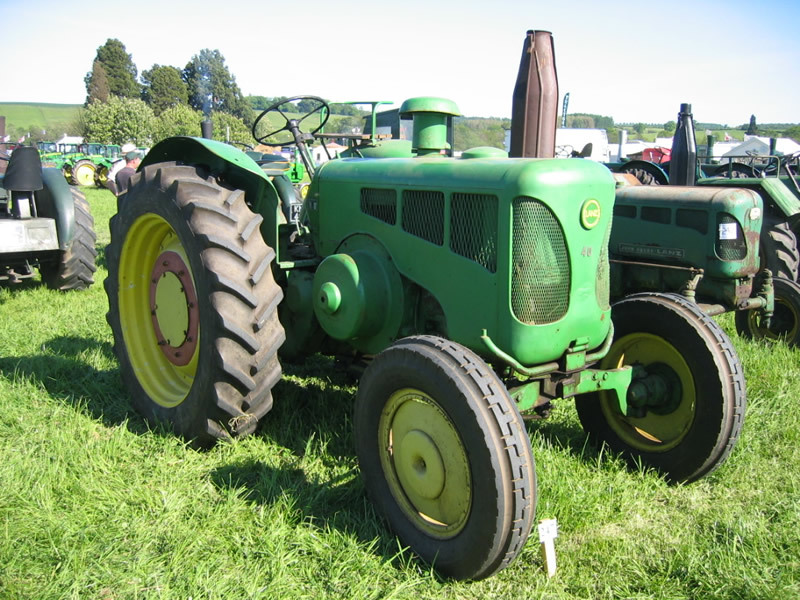 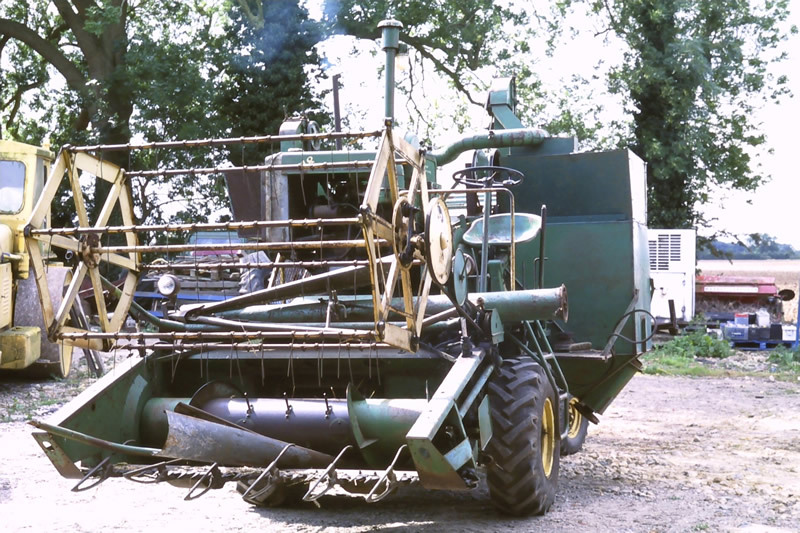 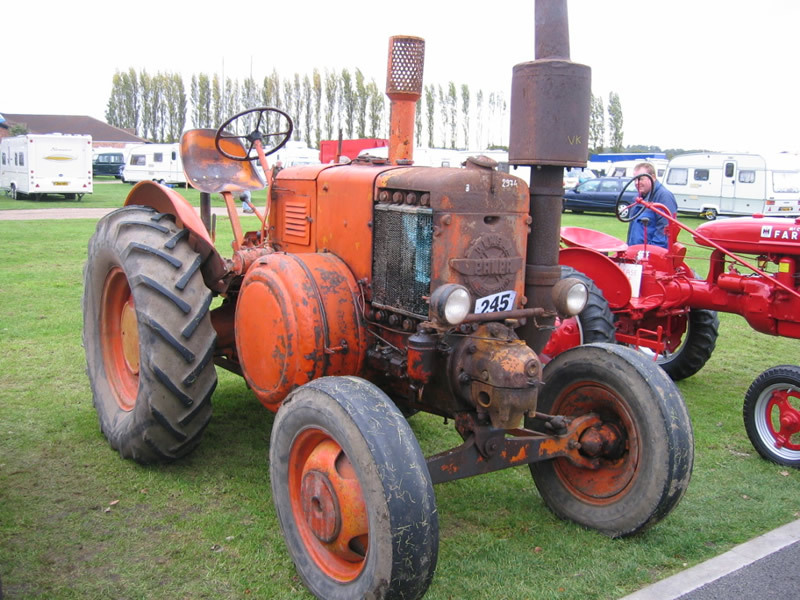 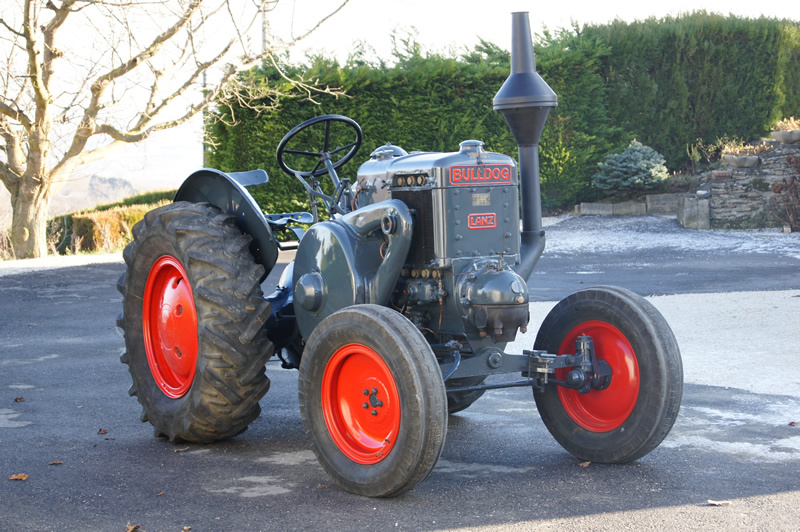 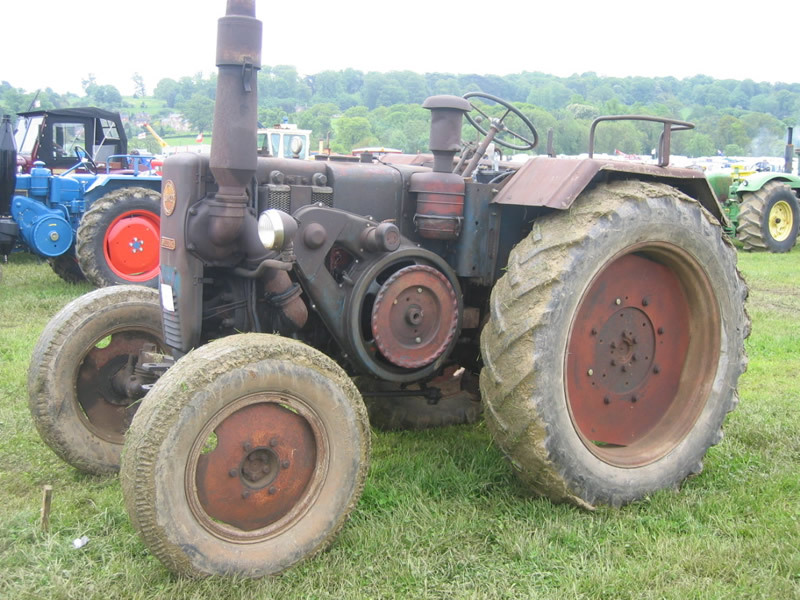 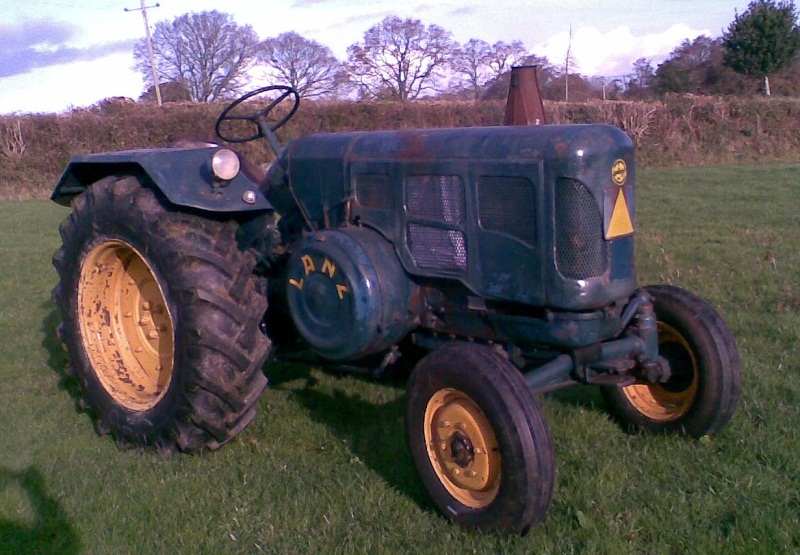 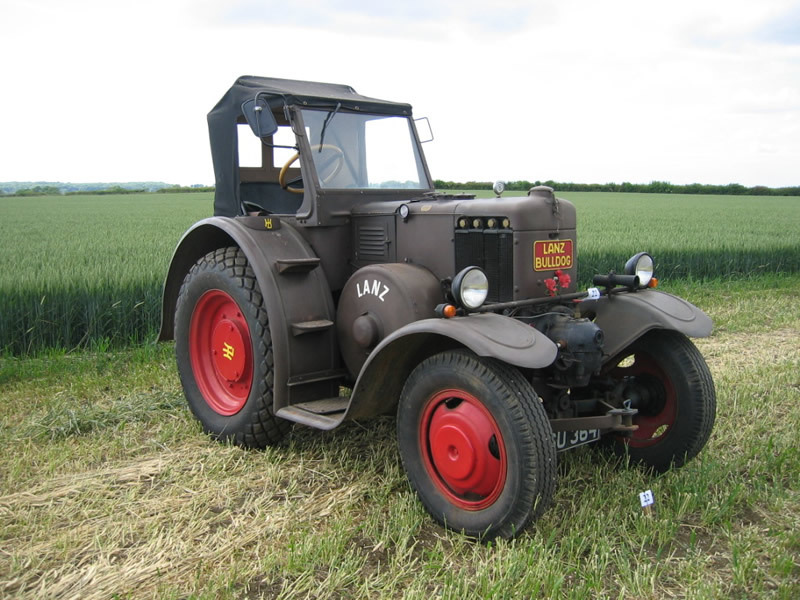 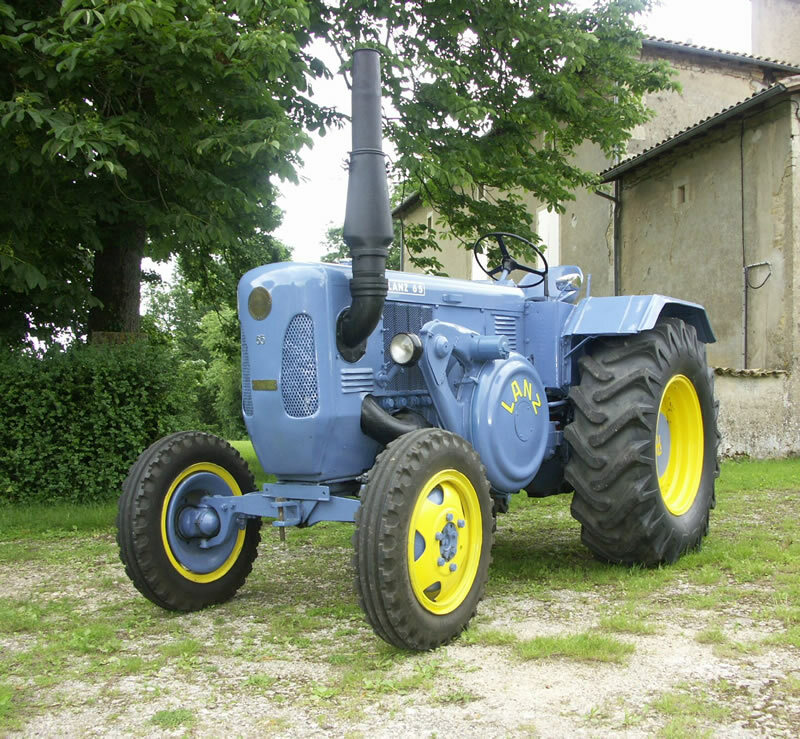 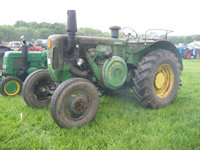 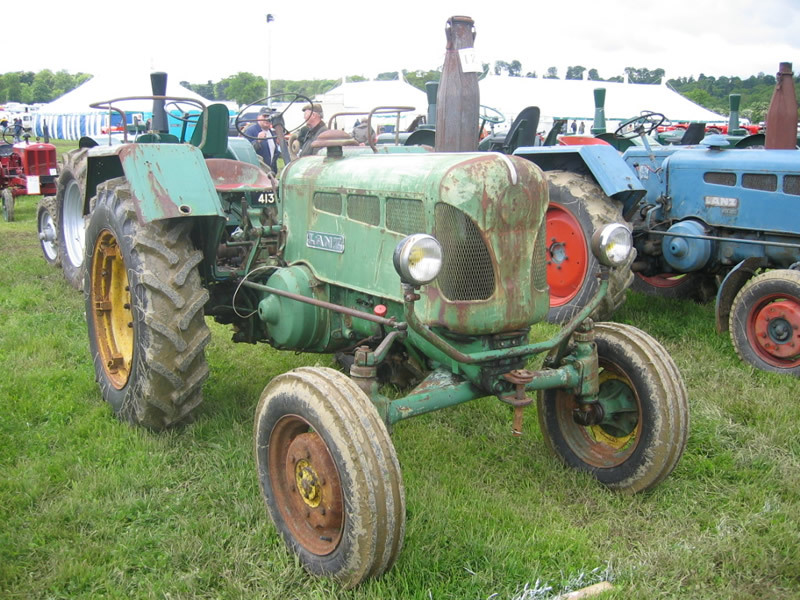 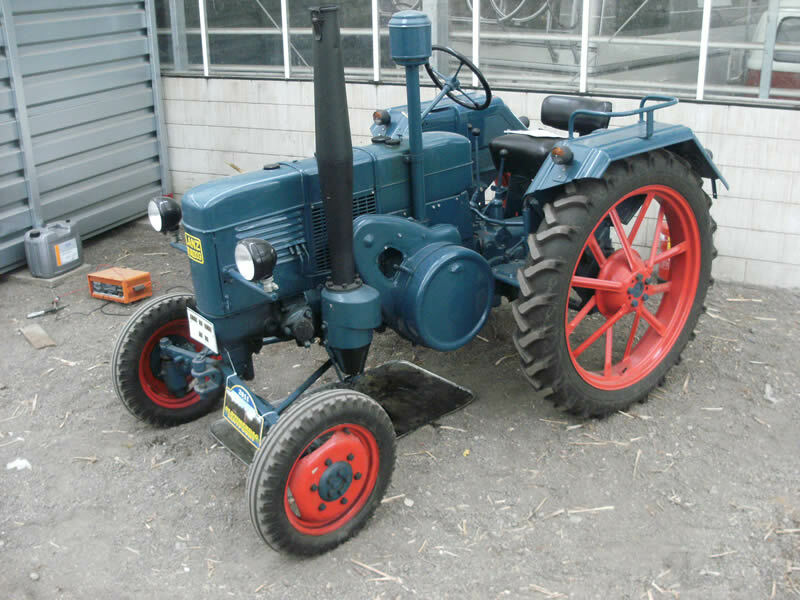 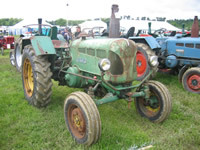 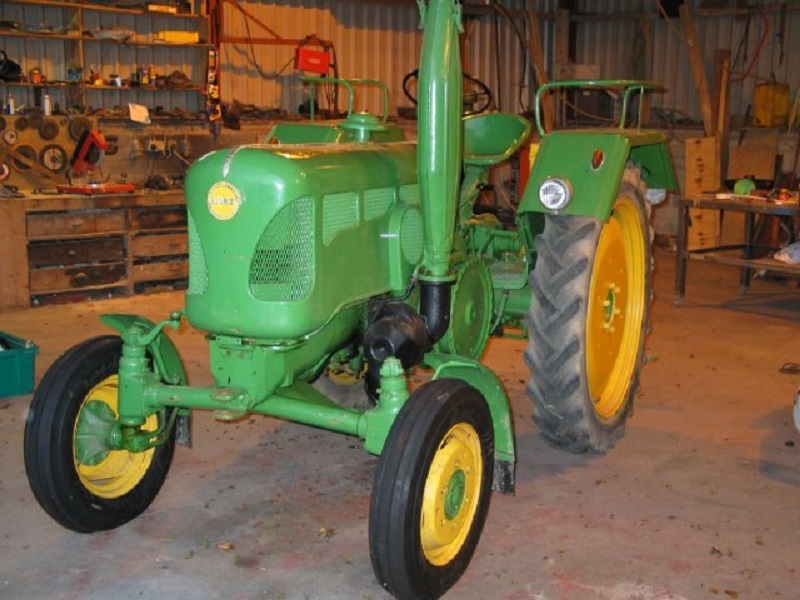 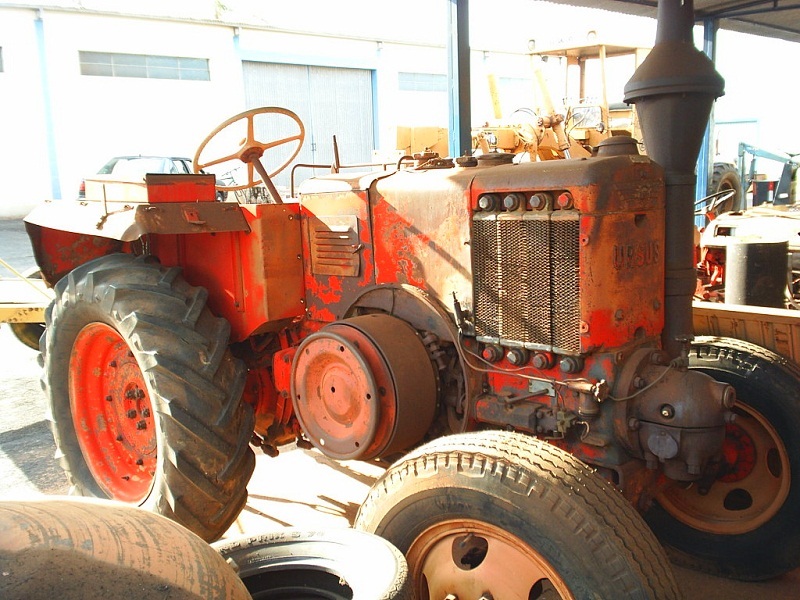 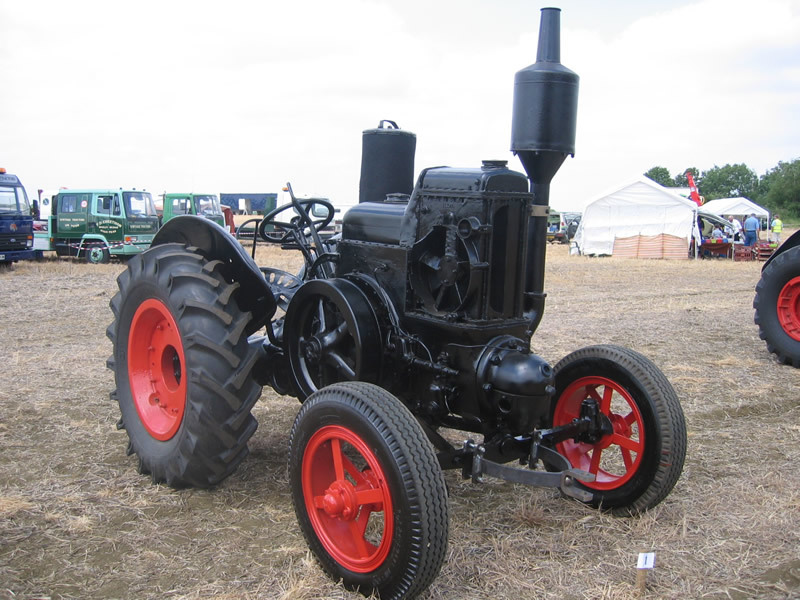 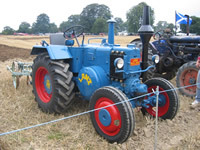 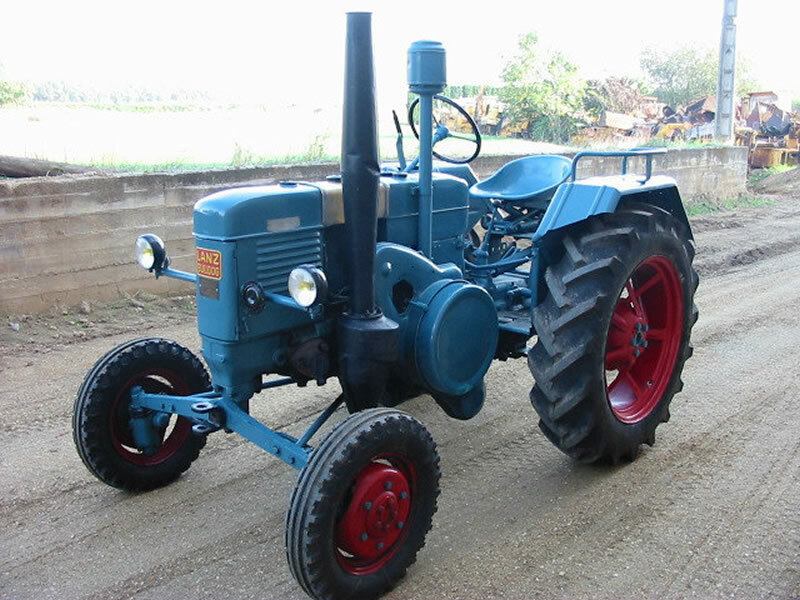 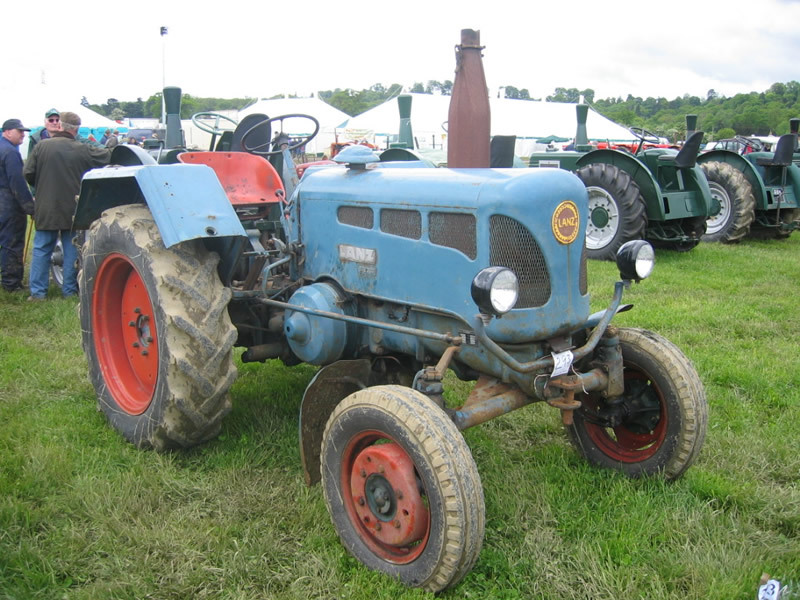 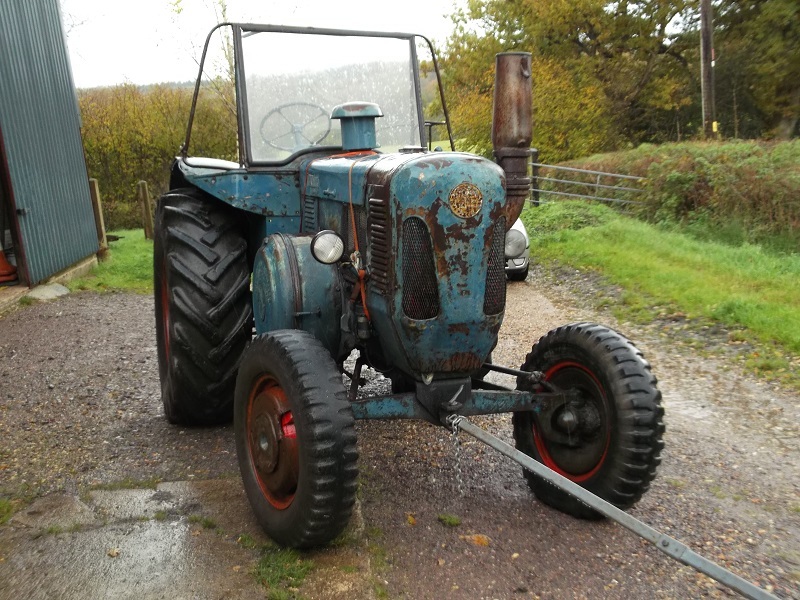 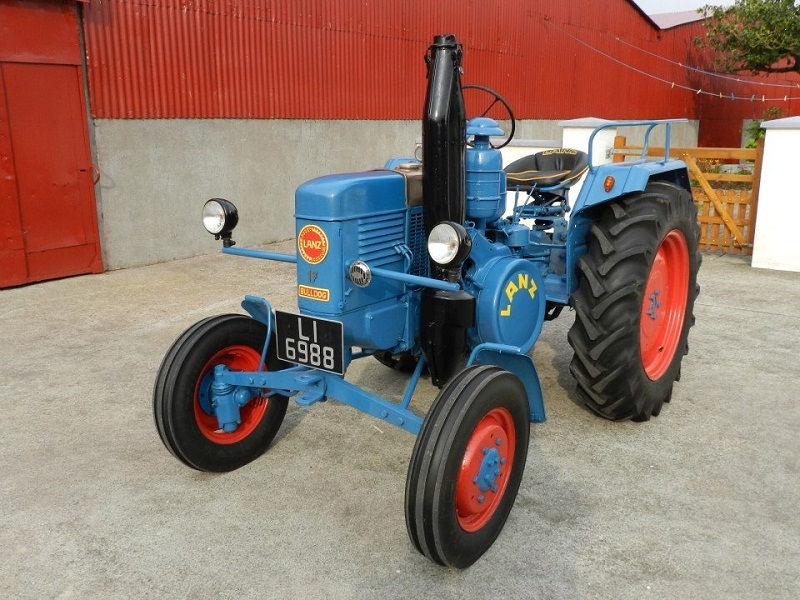 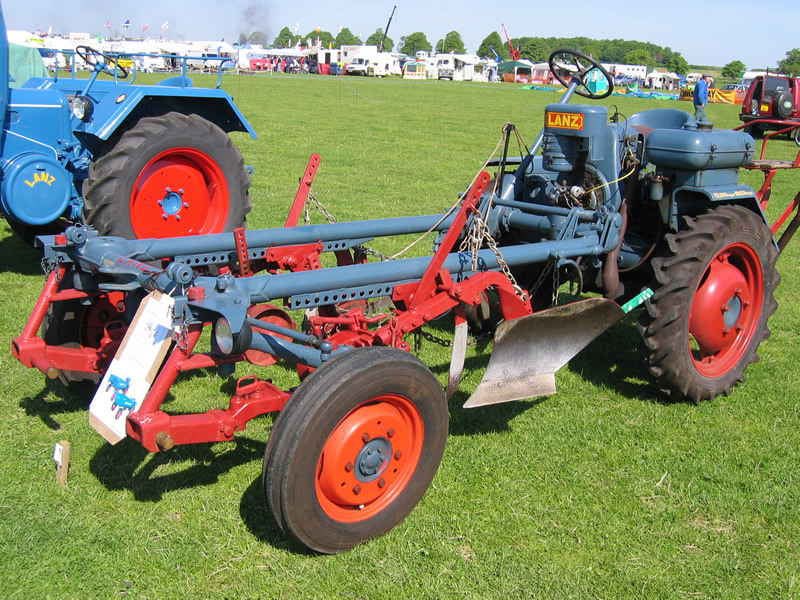 Alldog A1305, 13 HP full diesel, 1955/56. 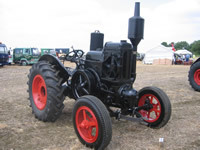 Displayed at the Belvoir Castle Steam Rally in May 04. 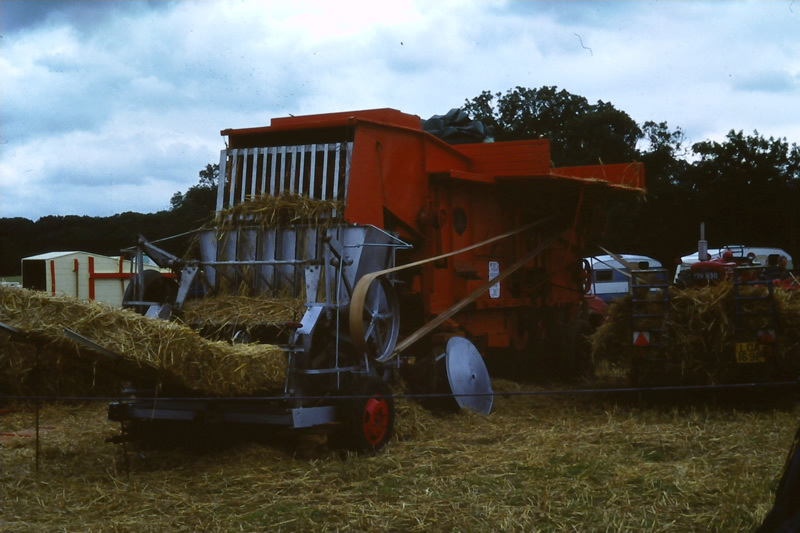 Displayed at a vintage working day in Leicestershire in 1993. 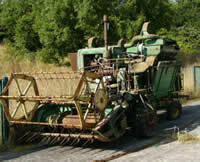 Self-Propelled Combine Harvester, MD 18S. Width of bed - 1.94 meters. 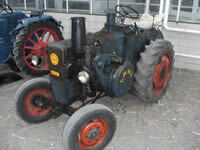 Mercedes OM636 diesel engine, 32.5 HP.